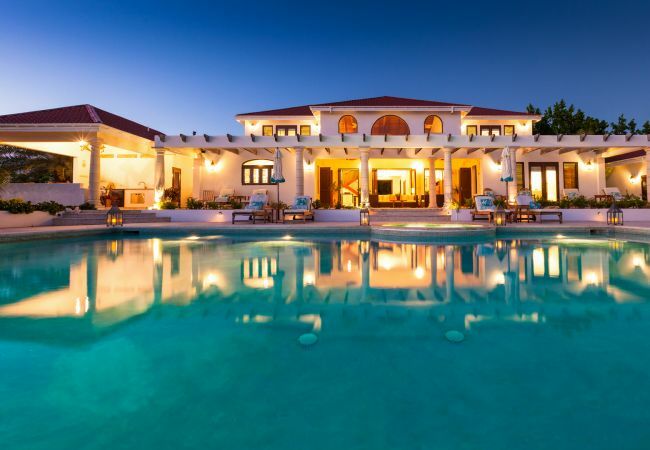 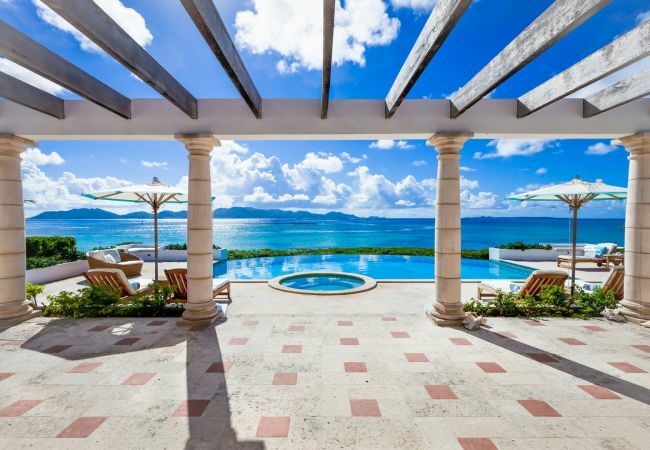 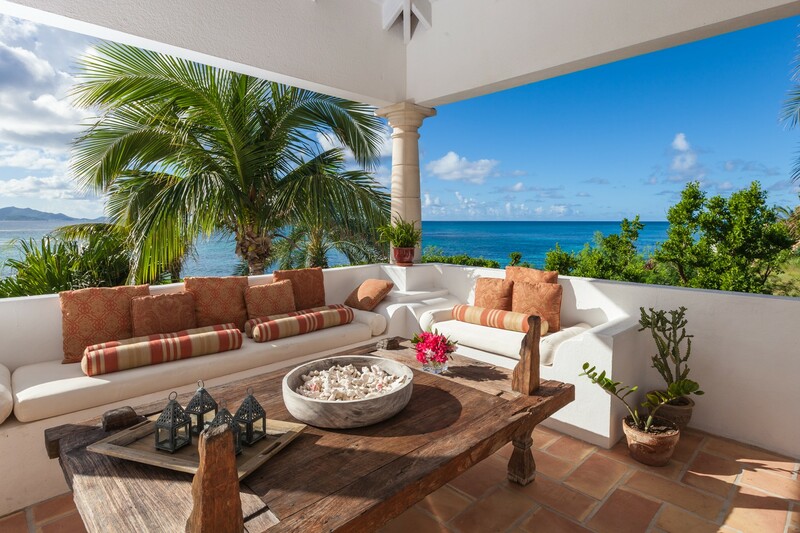 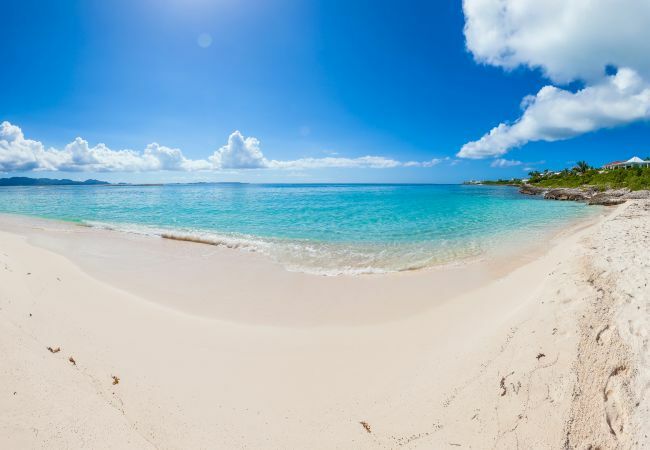 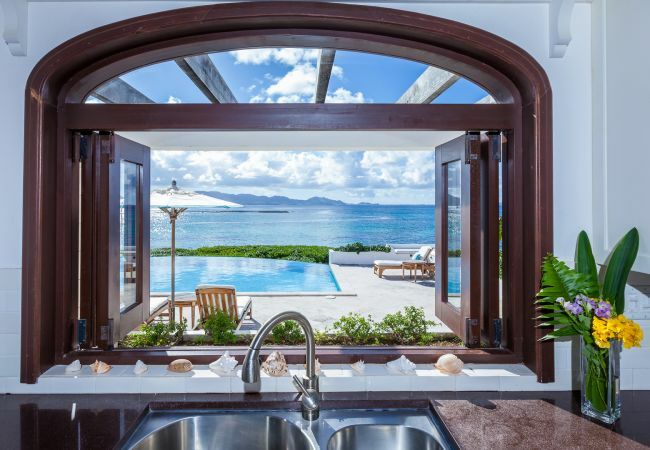 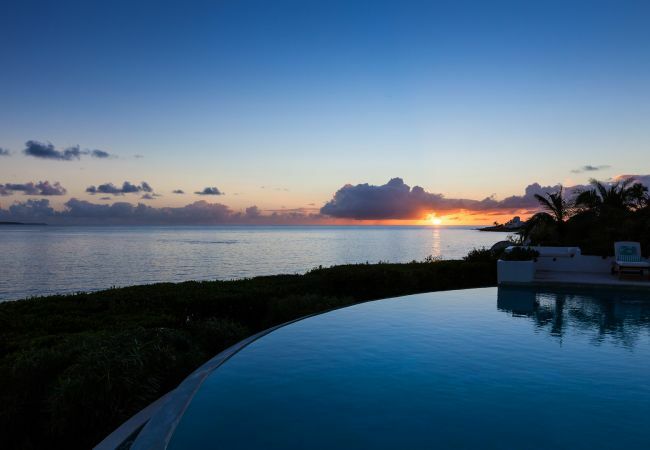 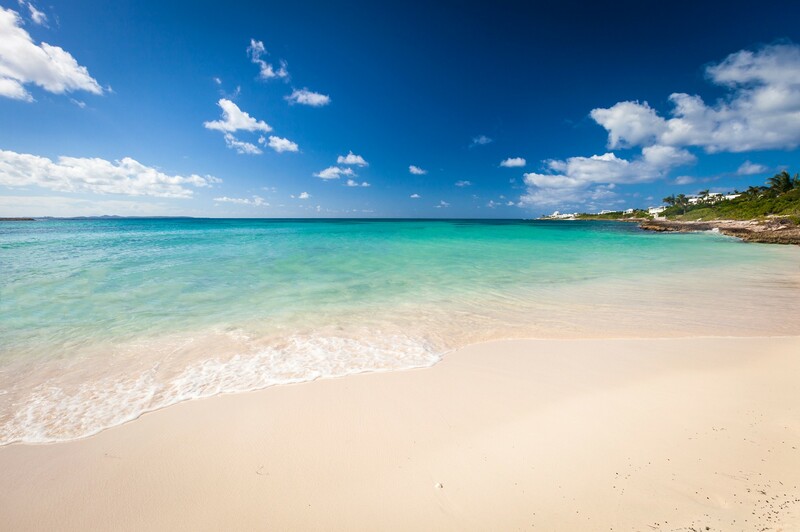 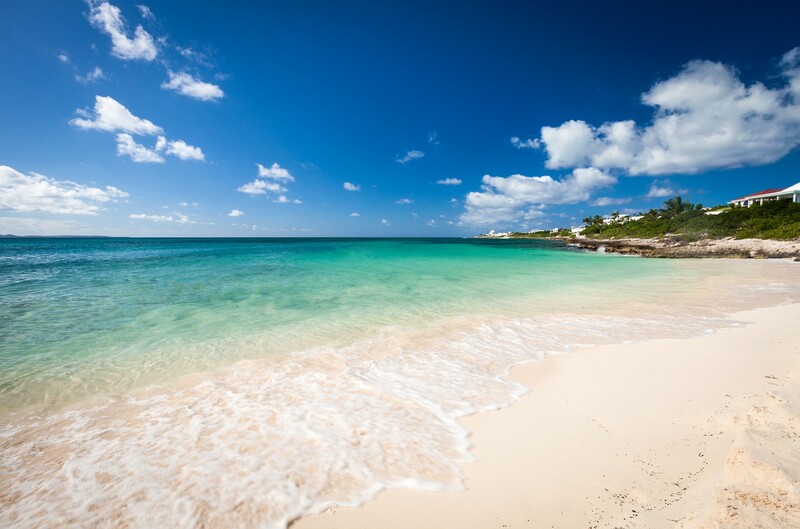 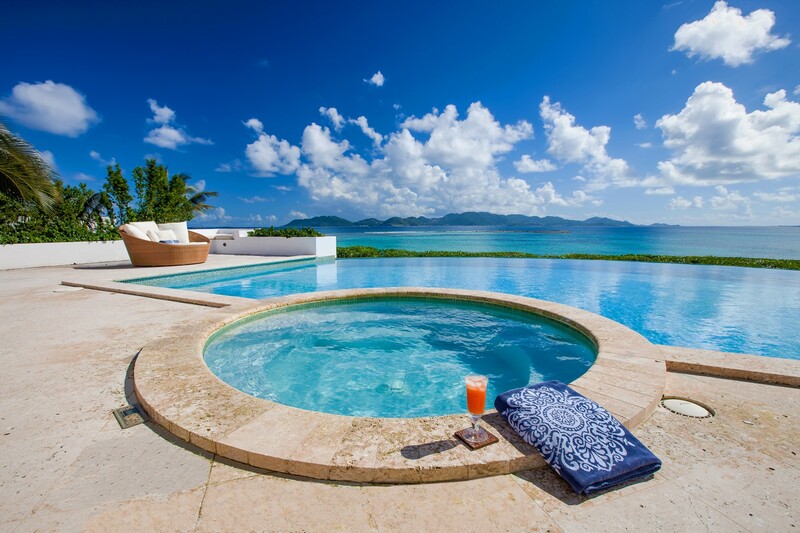 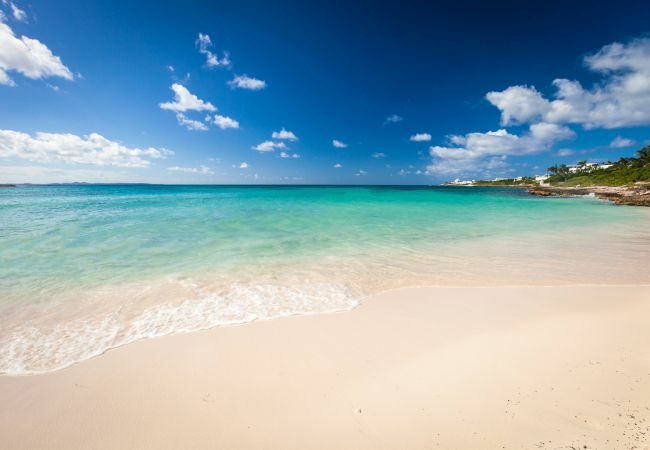 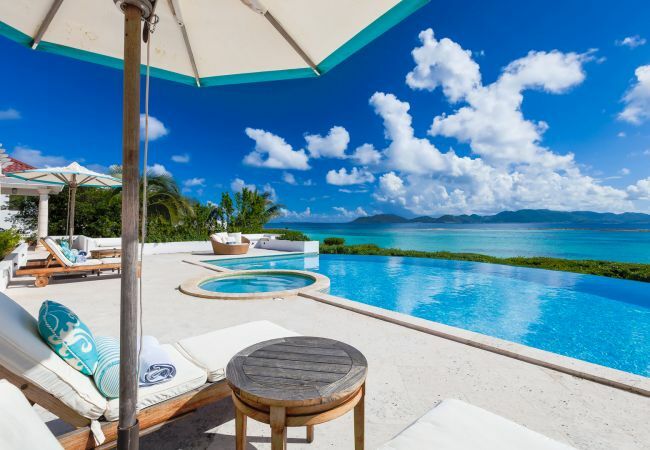 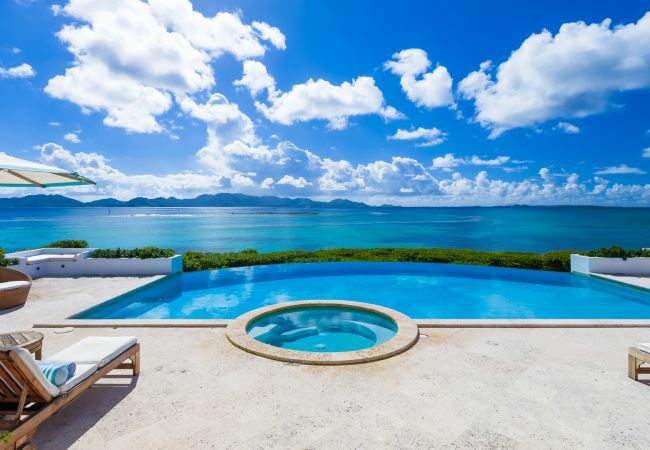 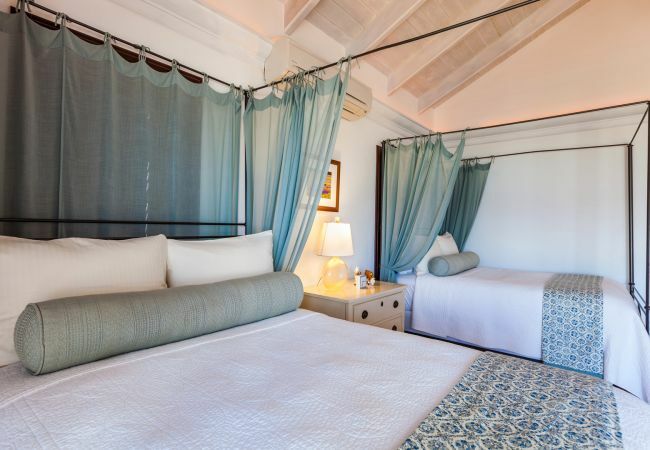 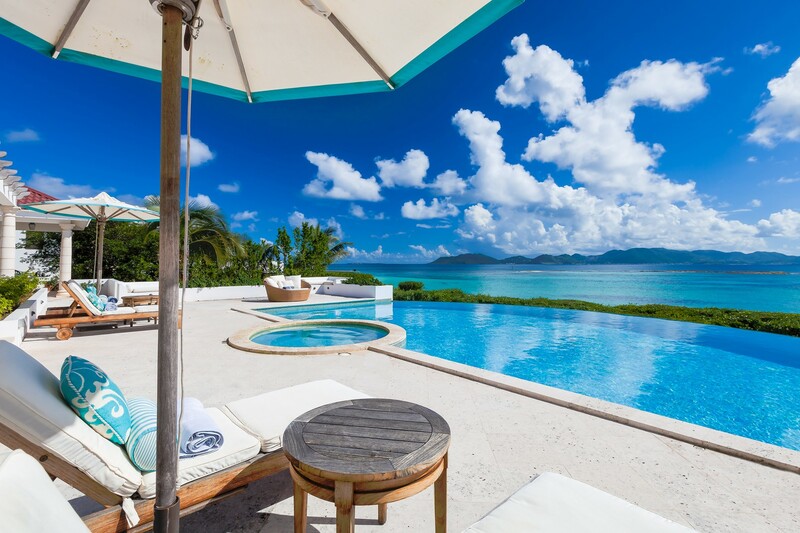 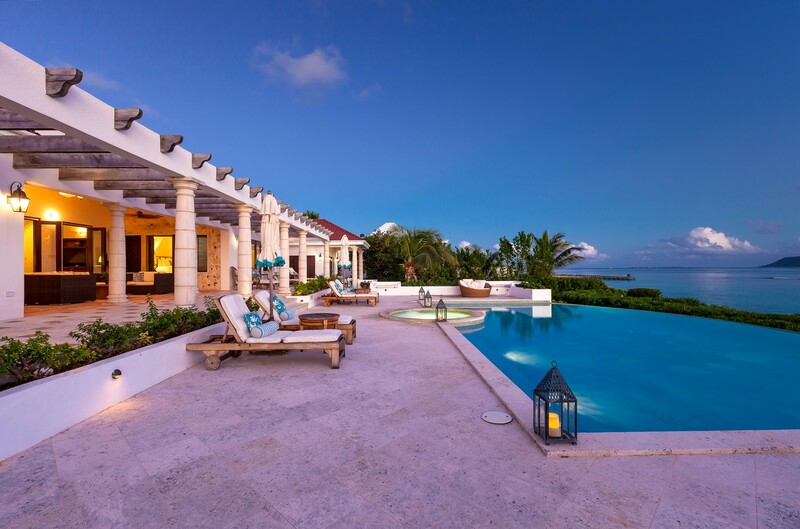 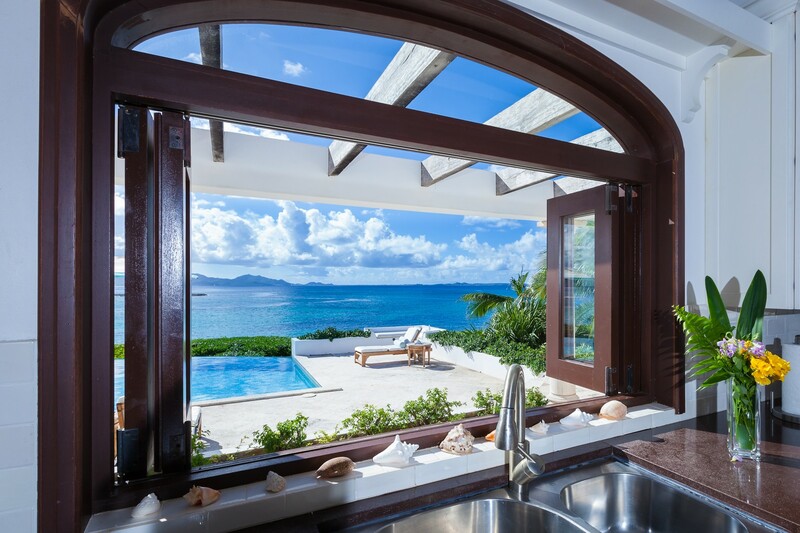 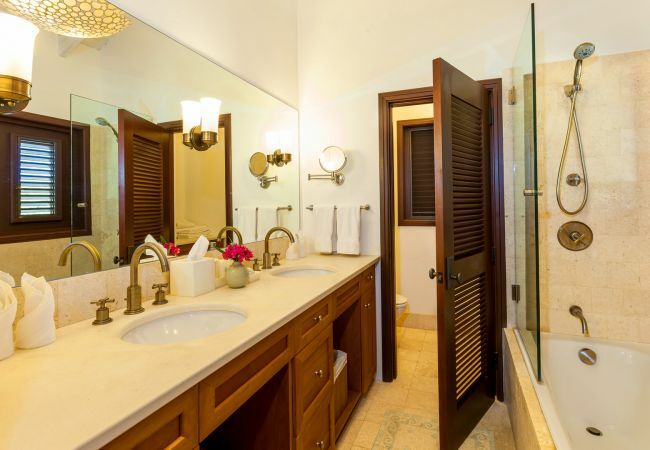 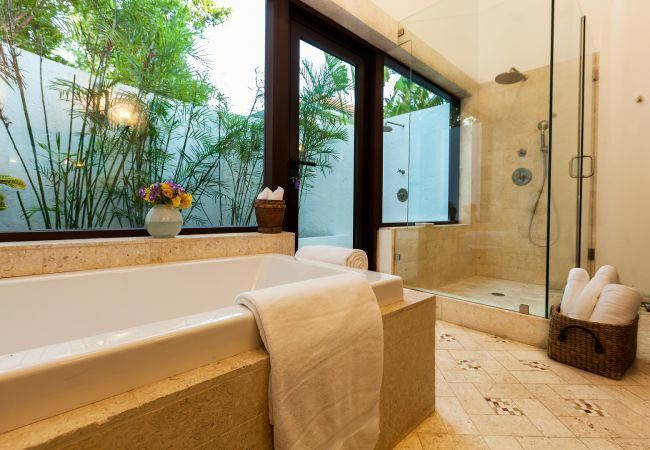 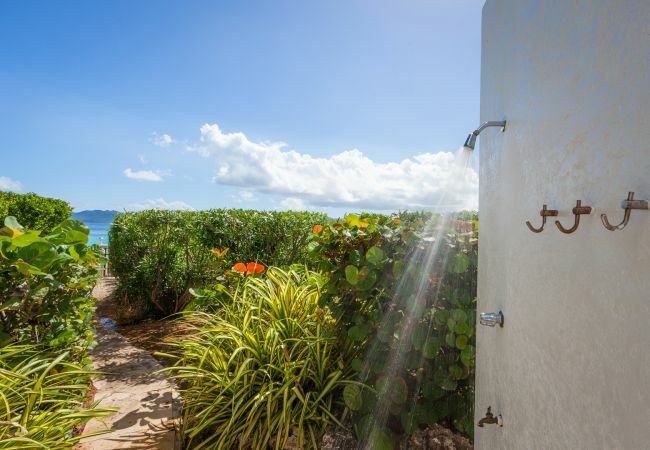 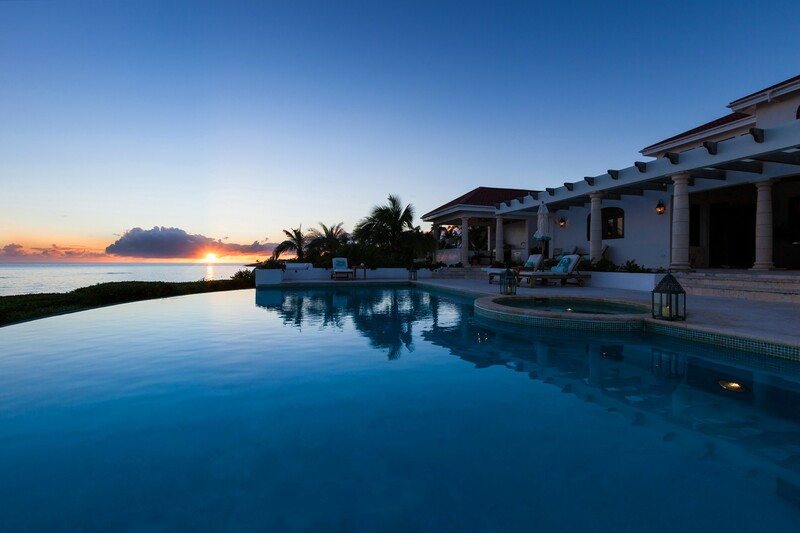 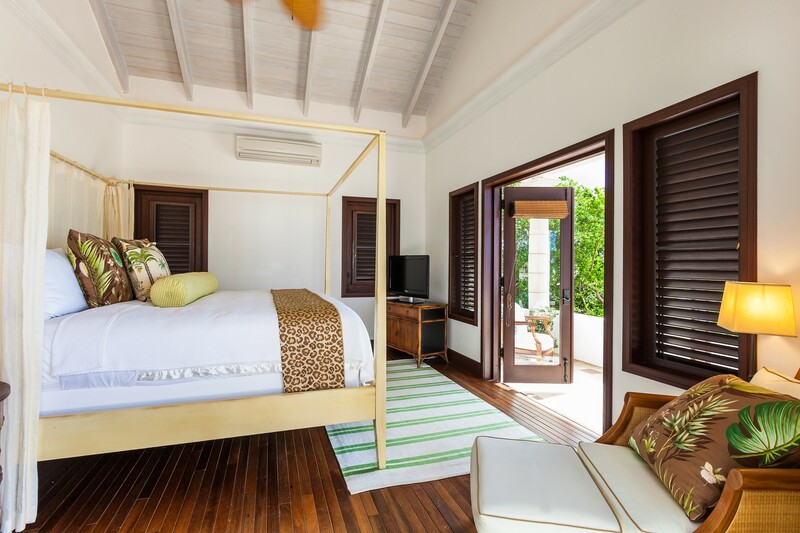 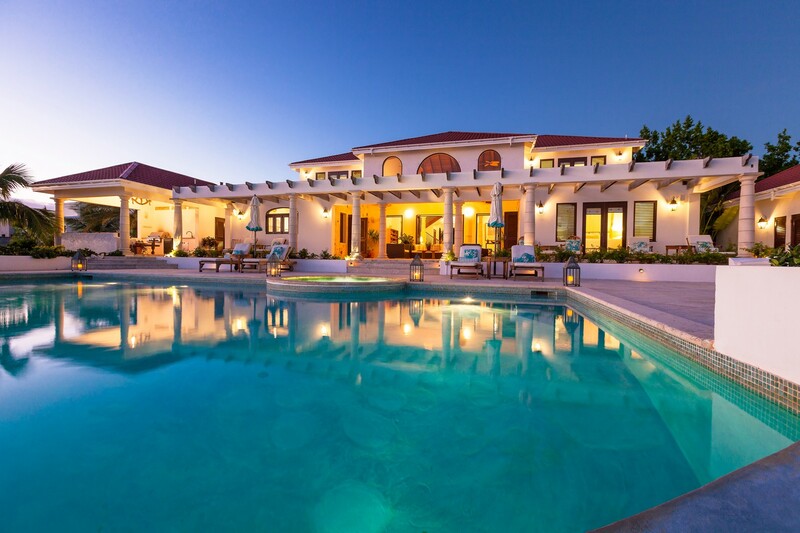 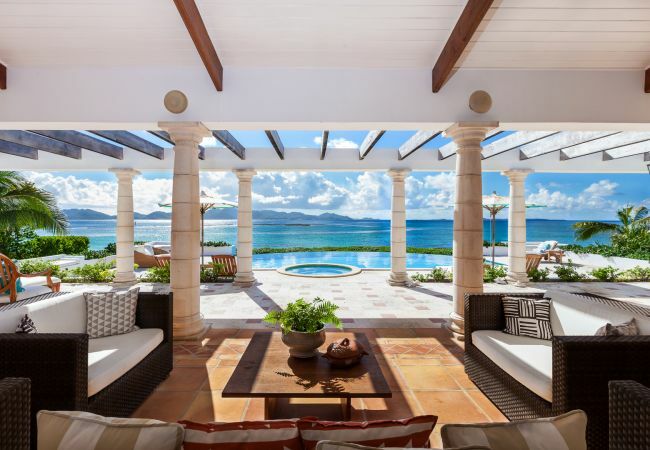 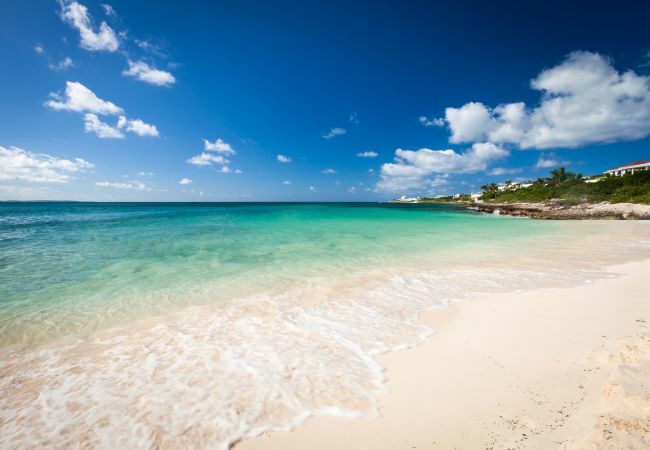 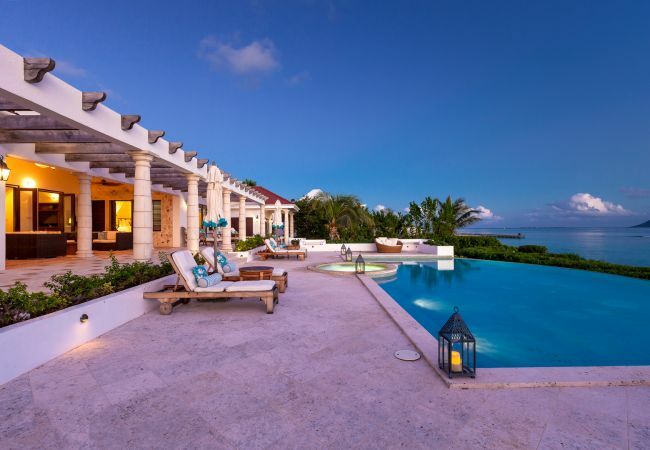 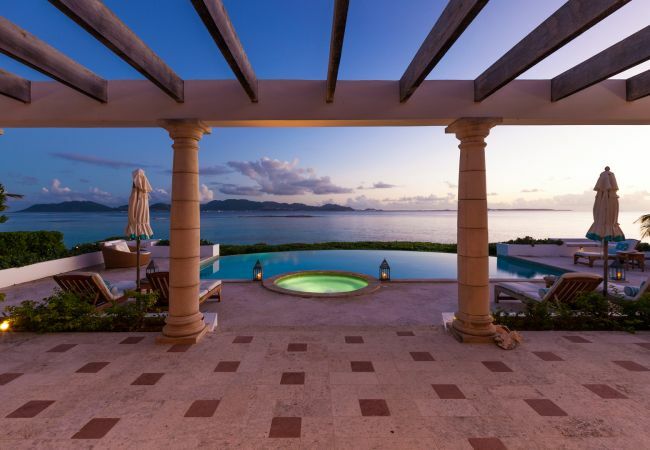 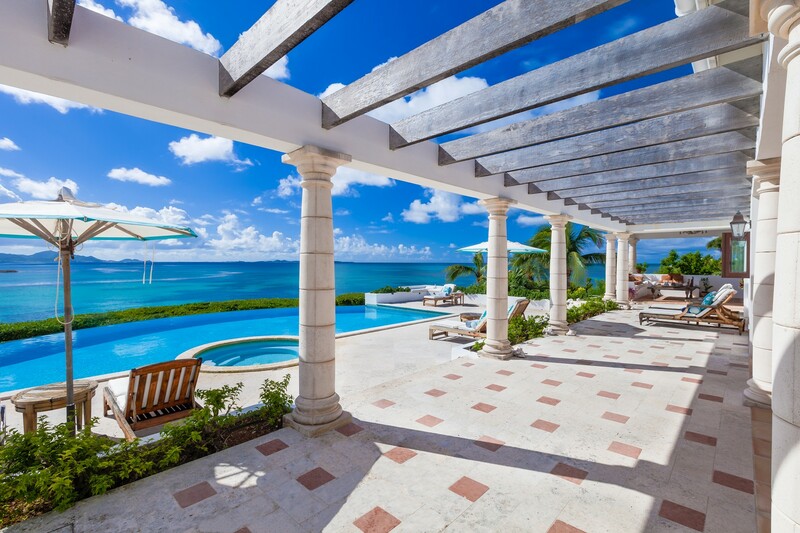 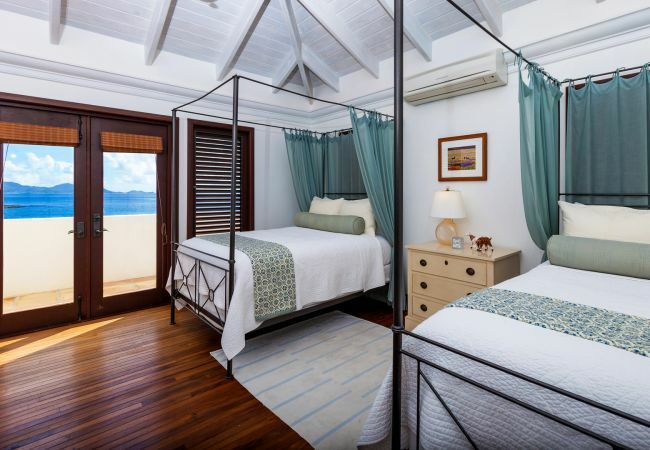 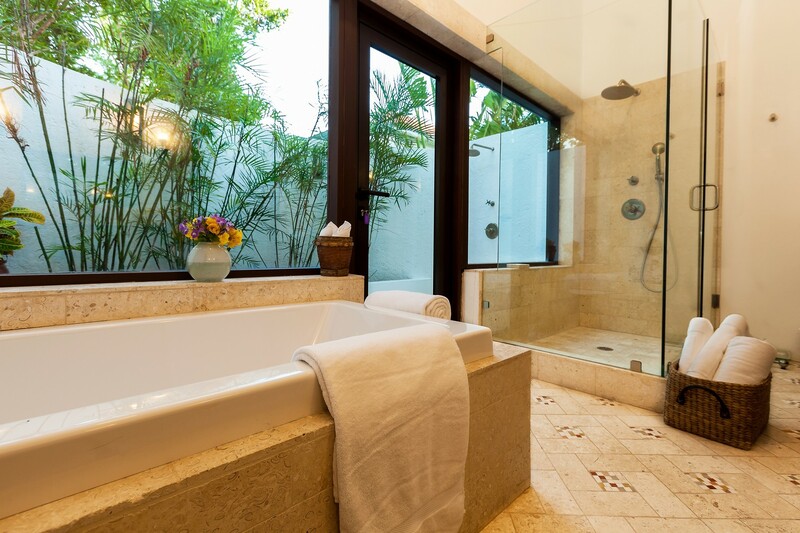 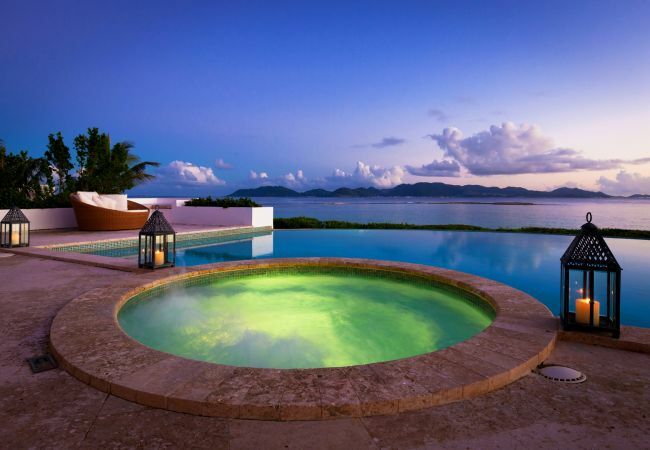 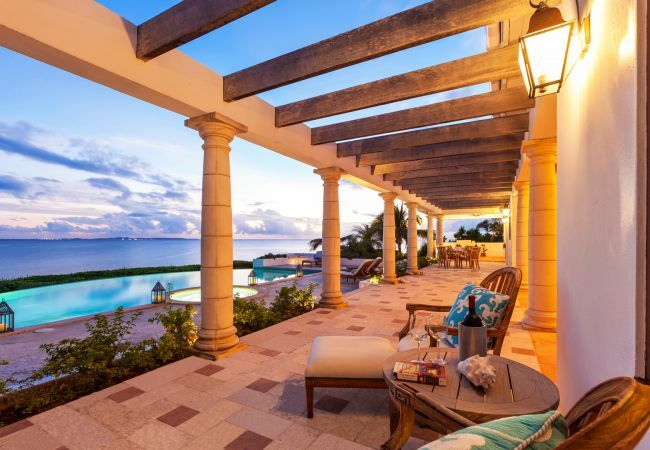 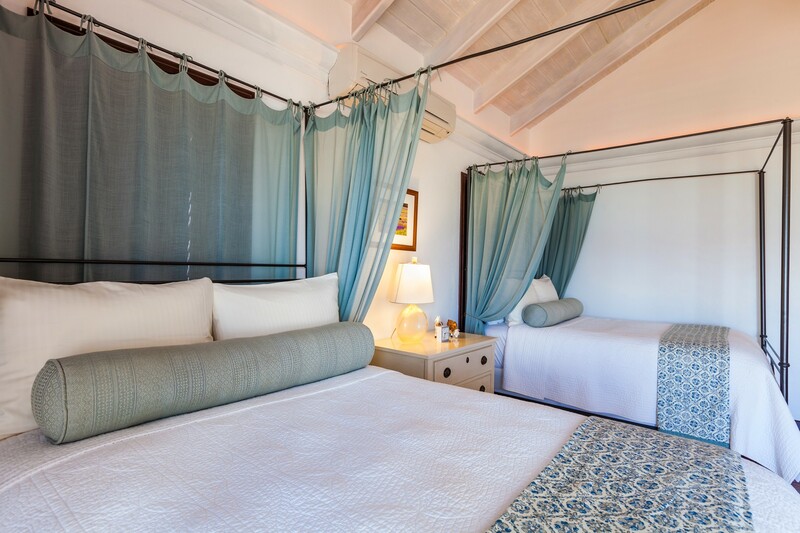 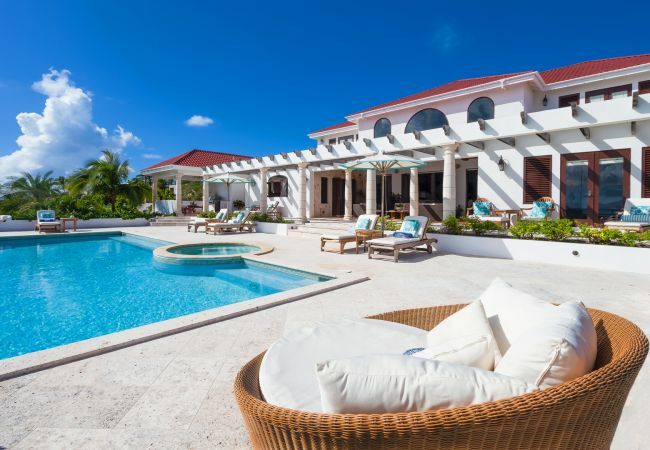 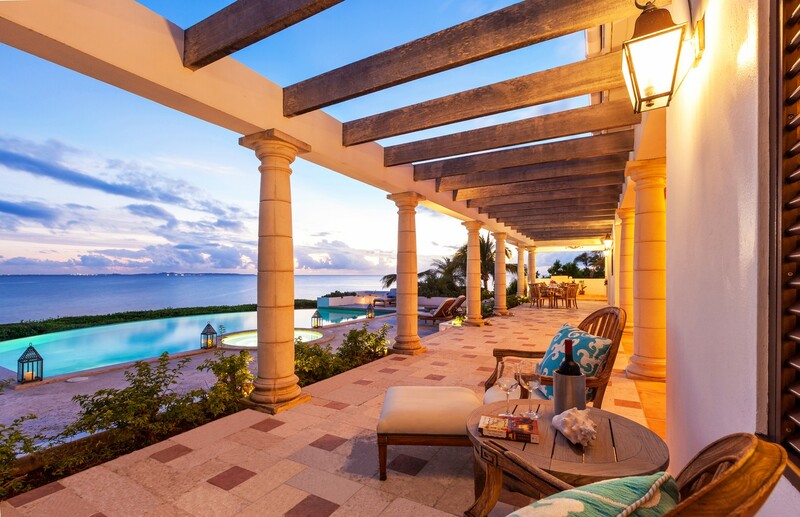 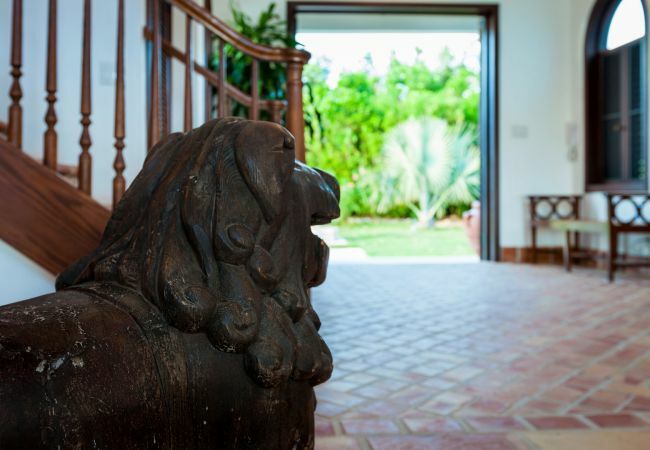 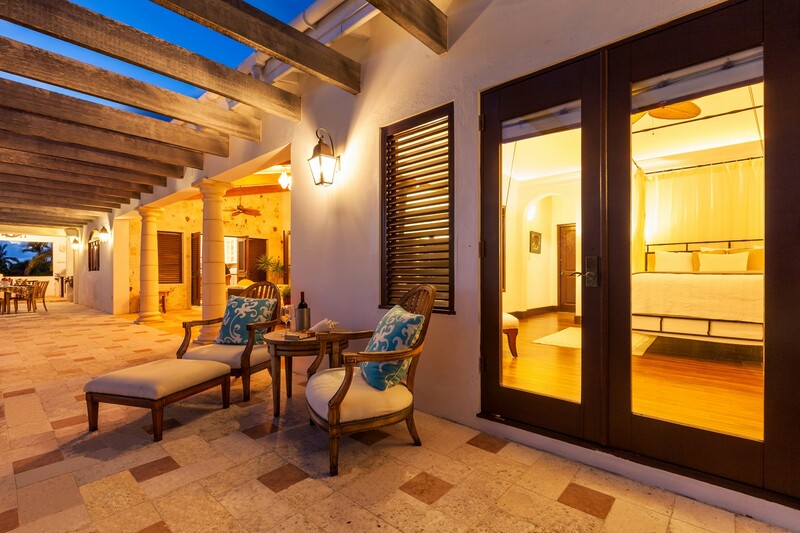 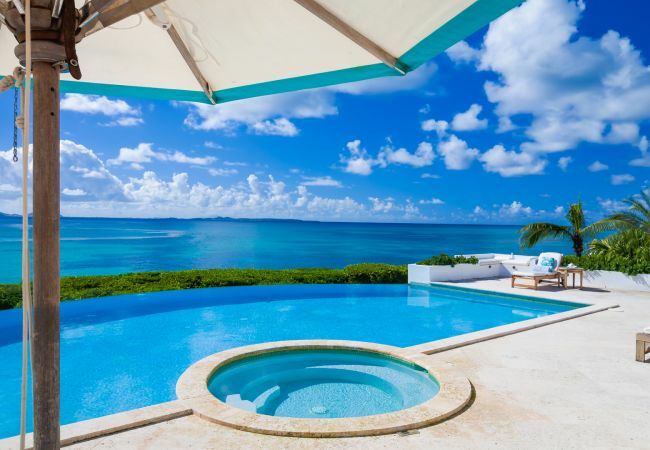 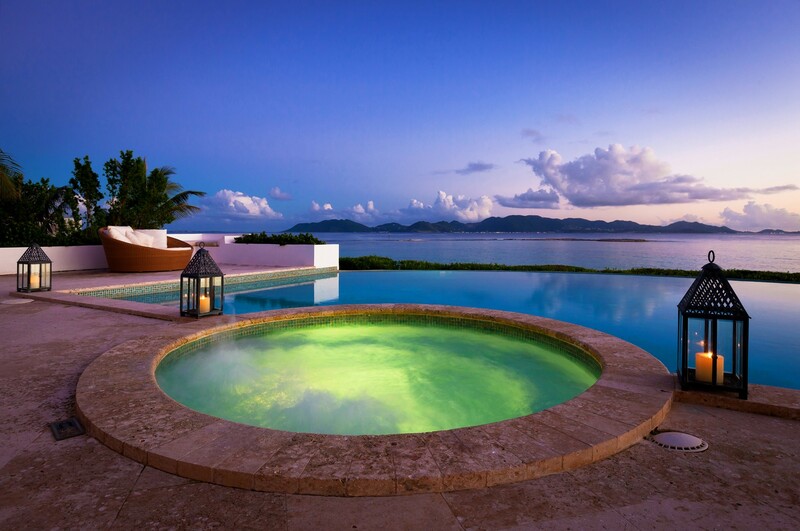 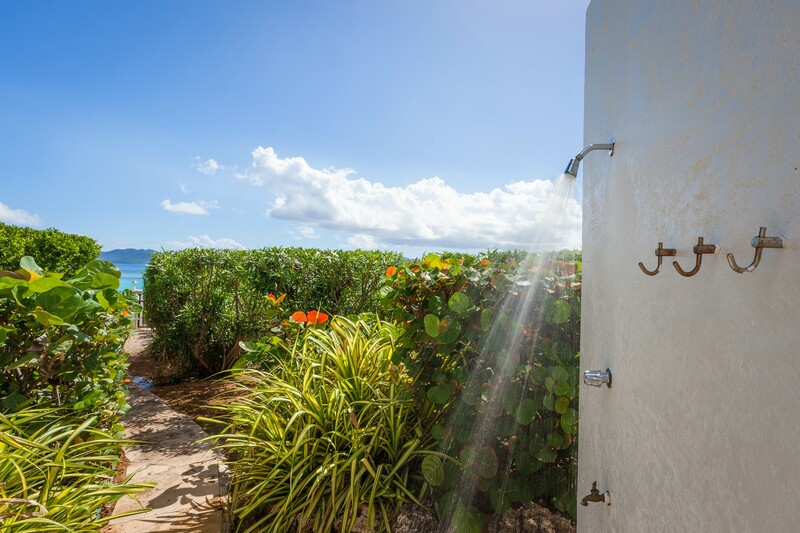 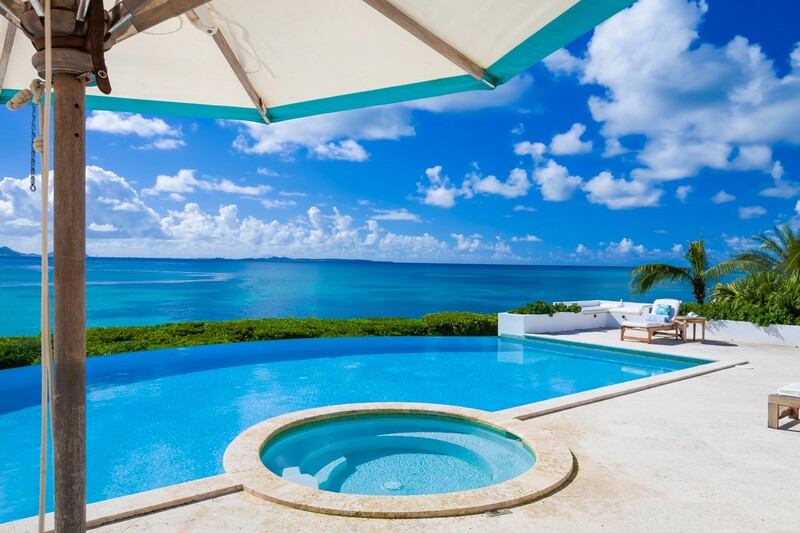 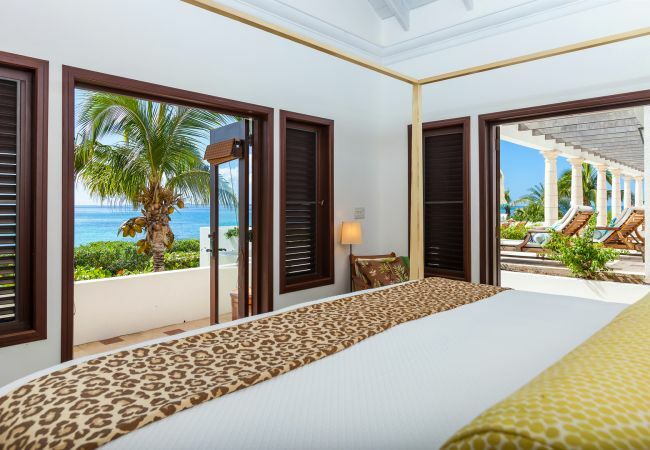 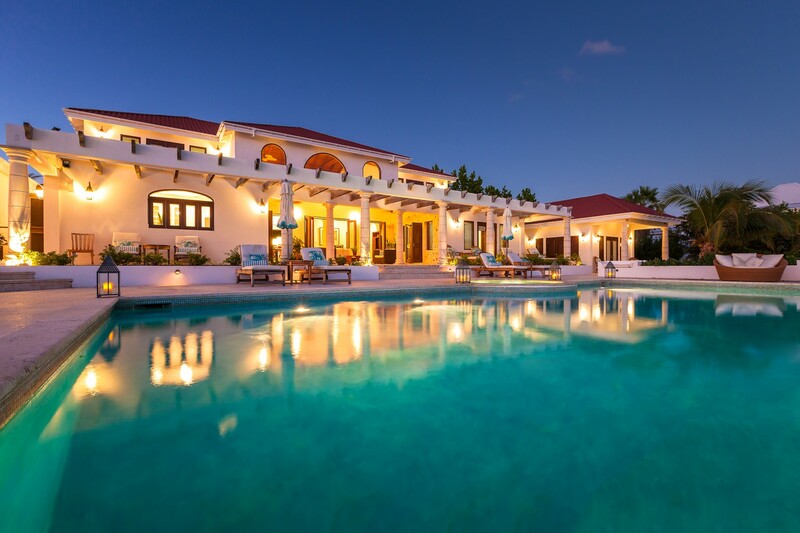 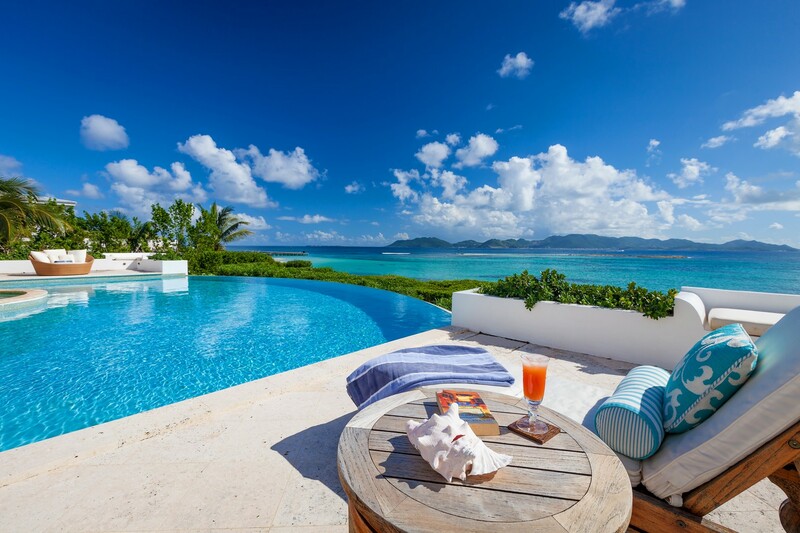 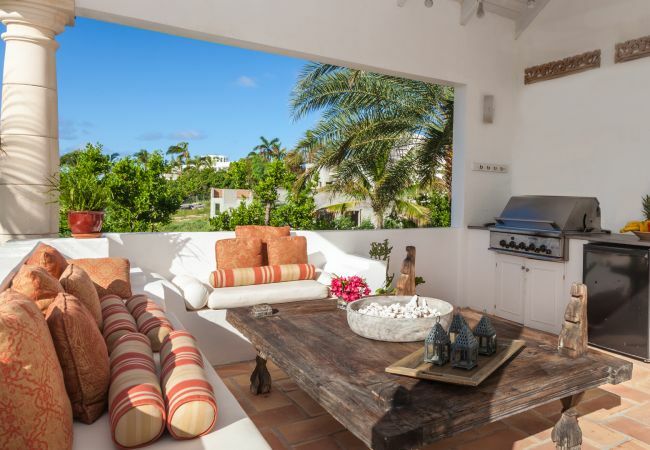 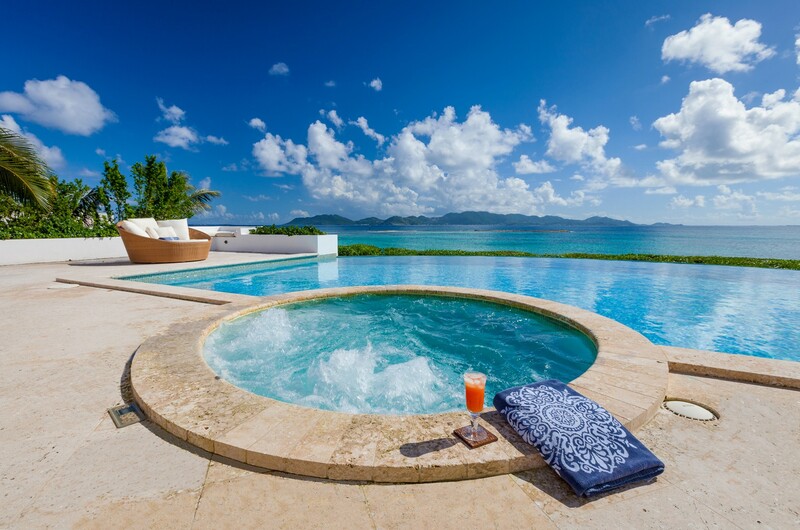 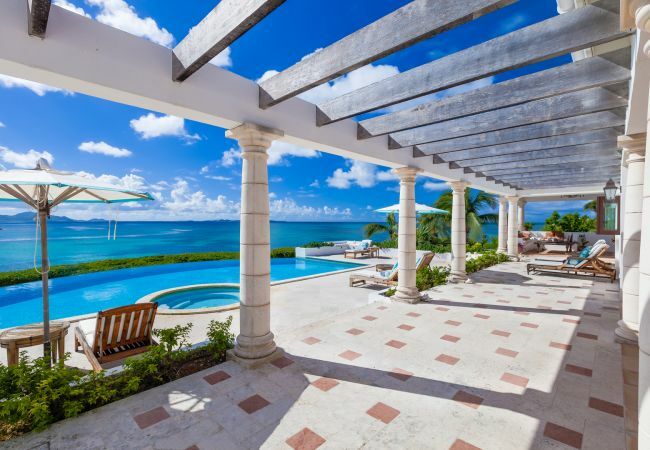 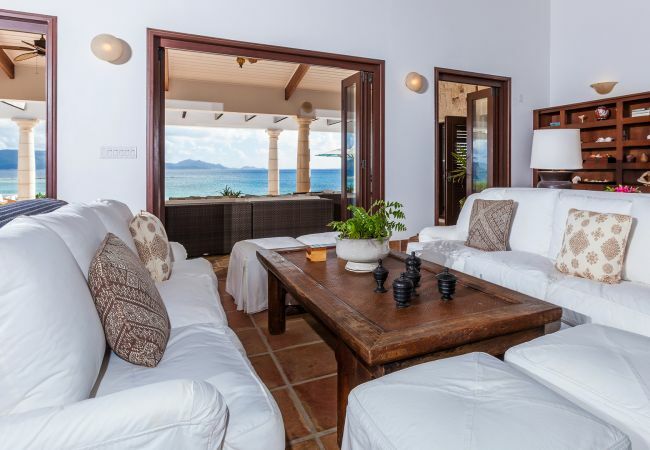 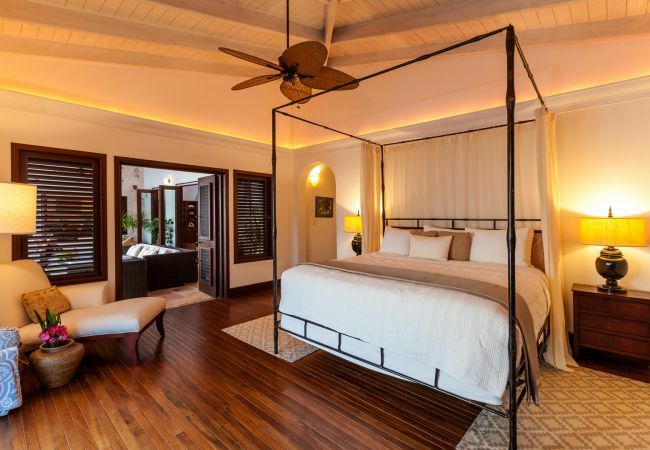 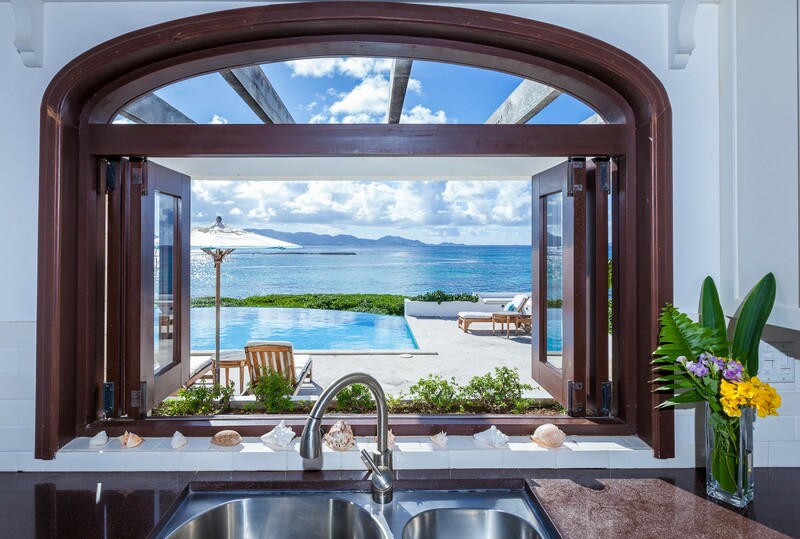 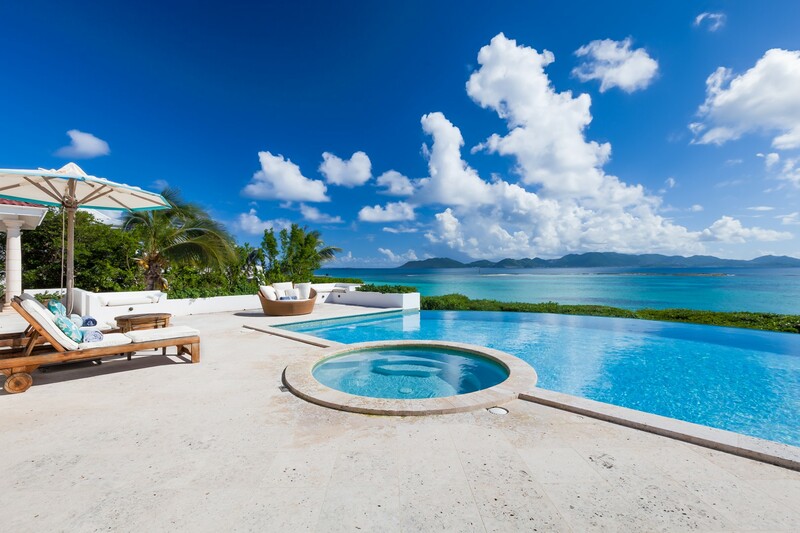 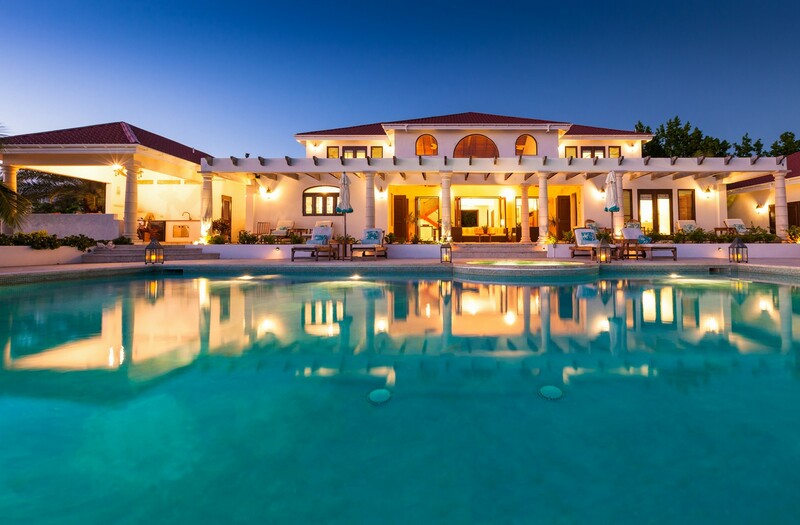 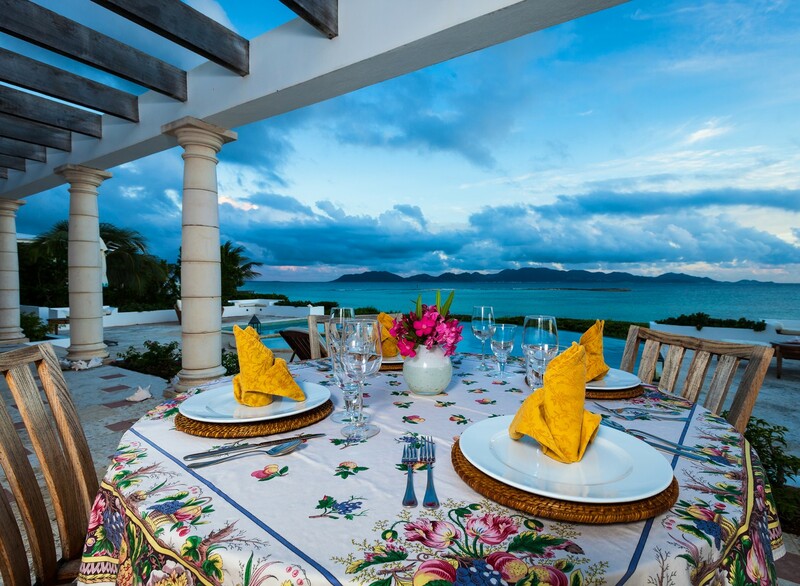 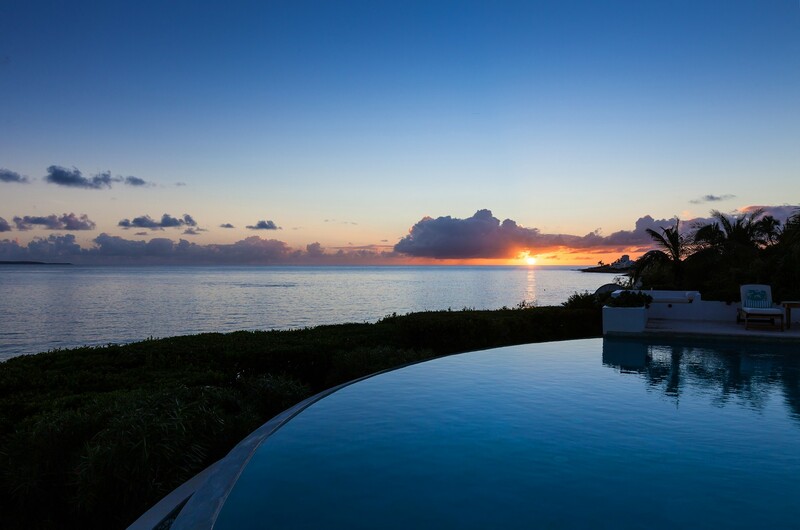 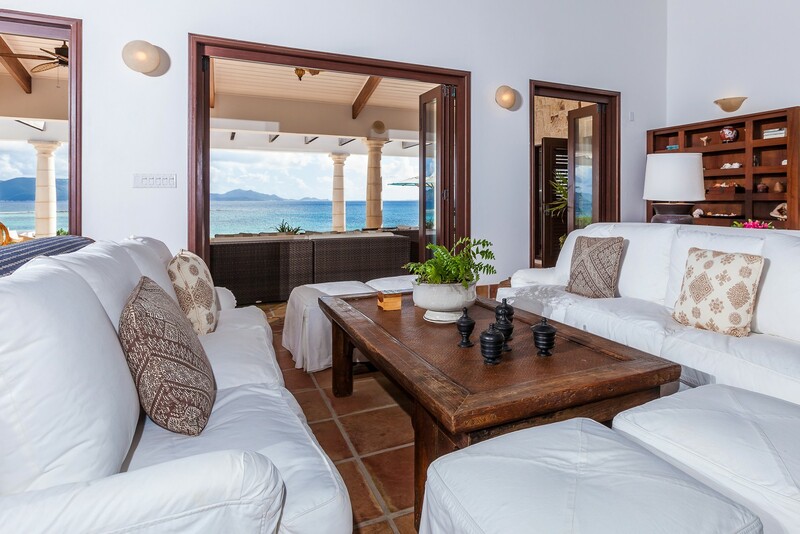 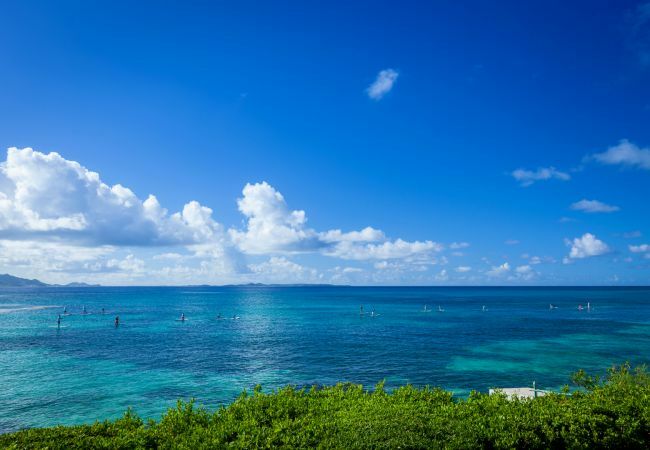 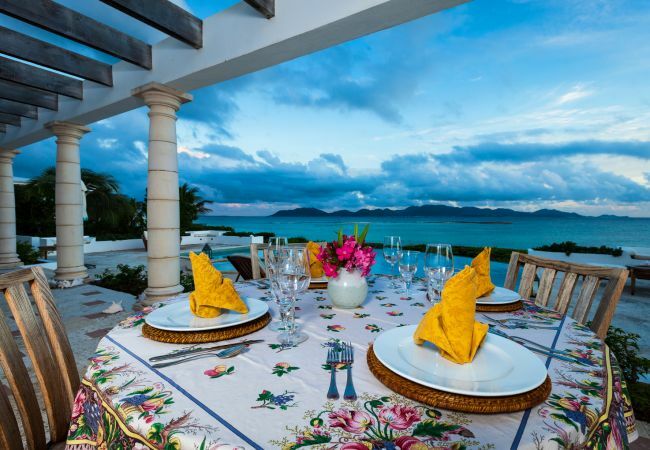 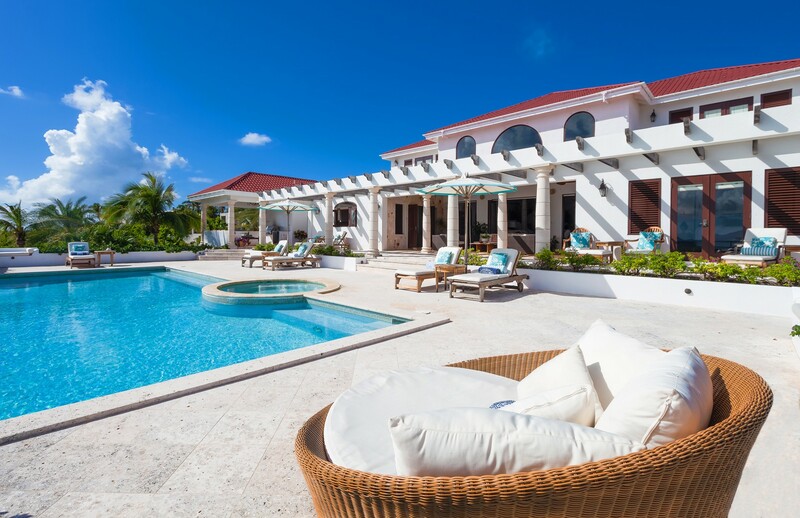 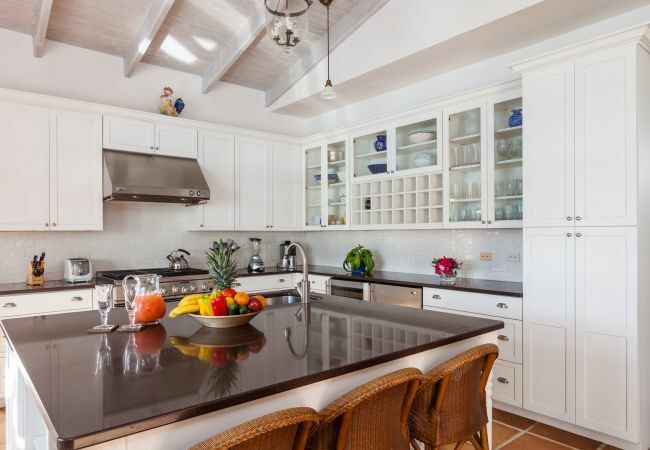 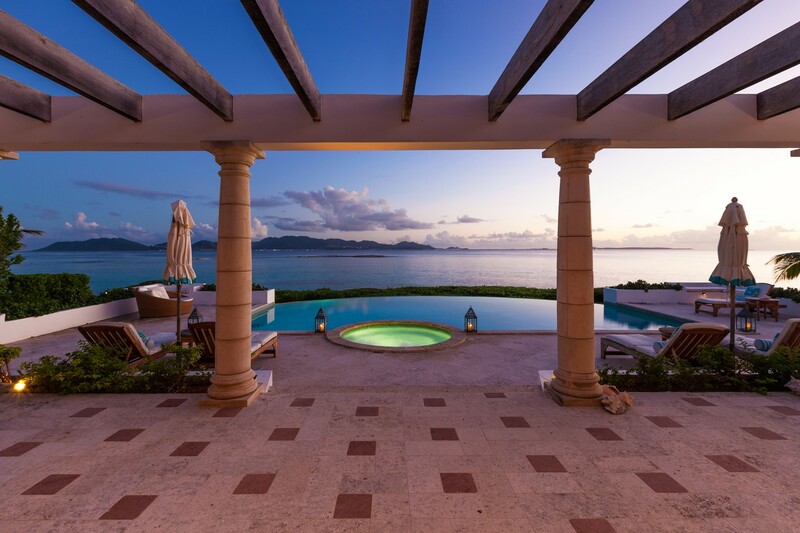 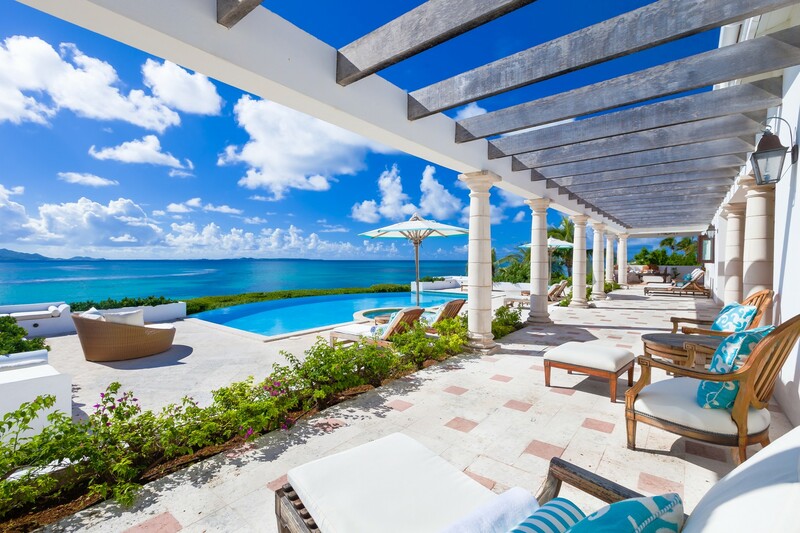 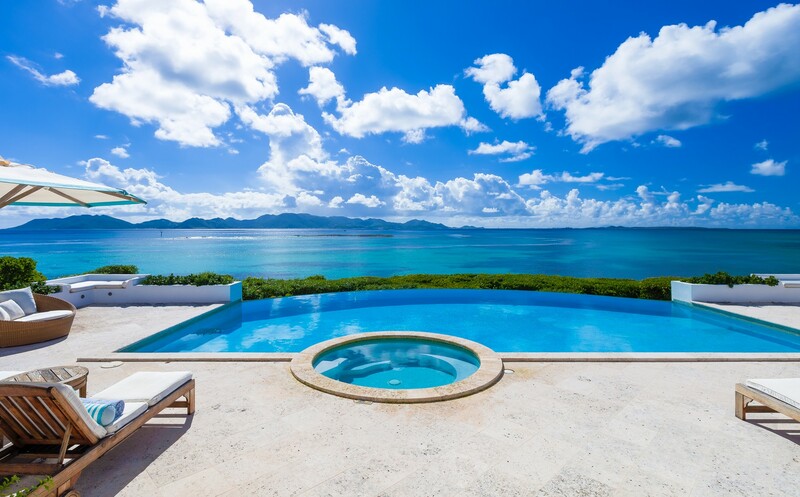 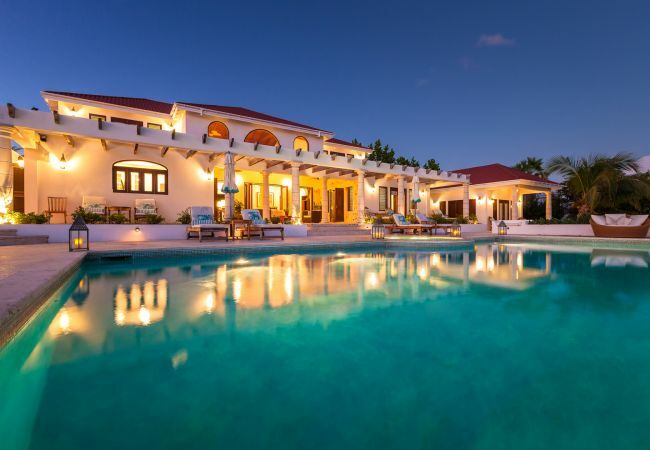 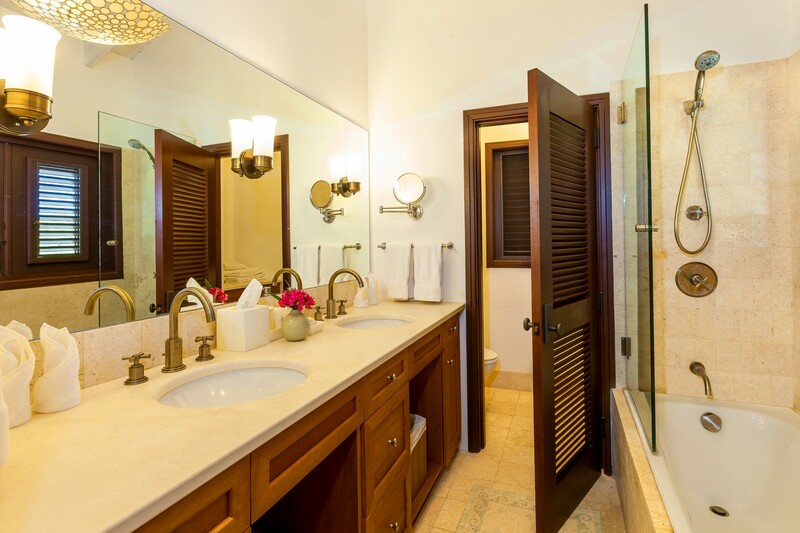 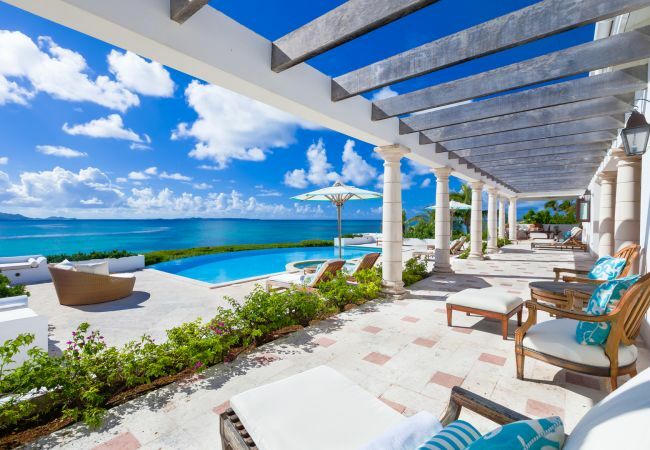 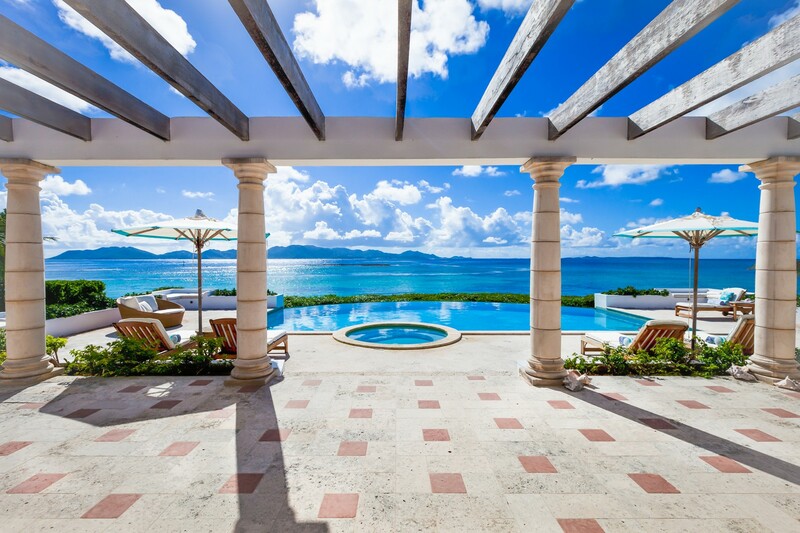 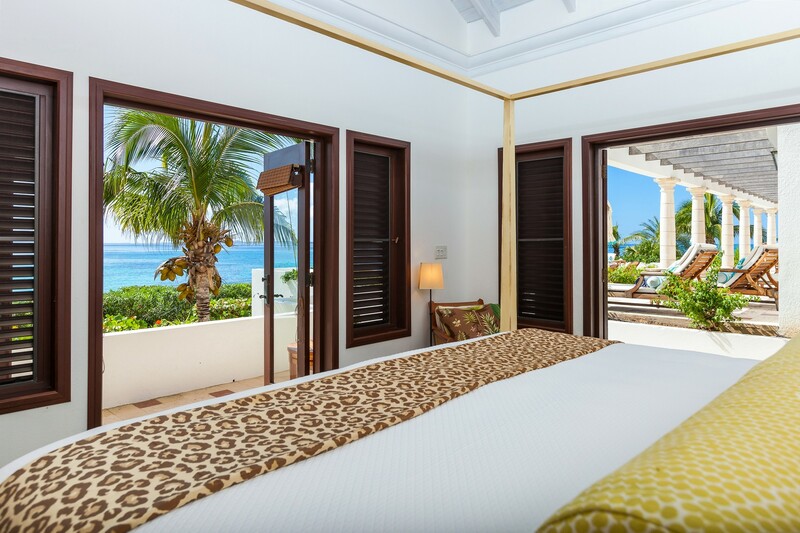 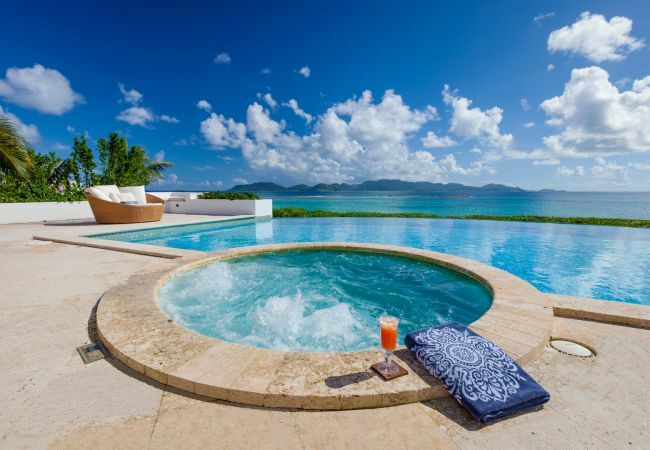 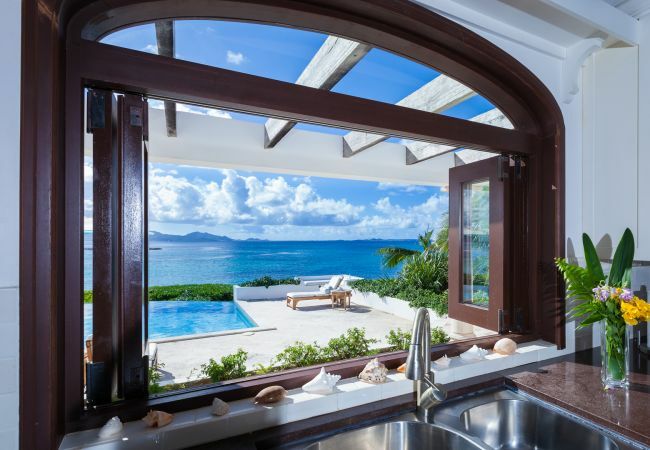 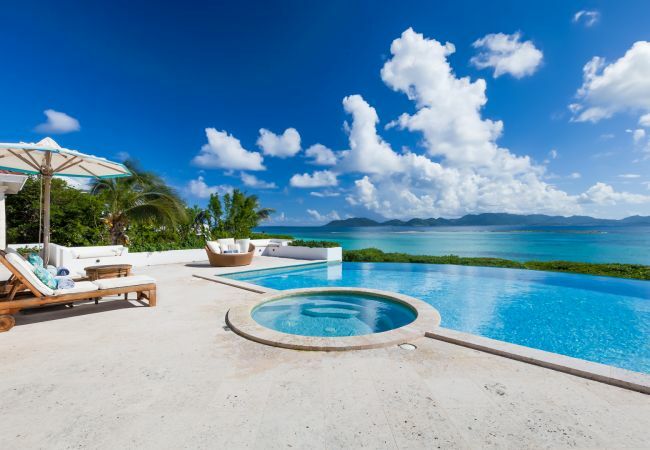 The spacious 7,000 square foot, four-bedroom Anguilla luxury villa sleeps eight to ten guests. 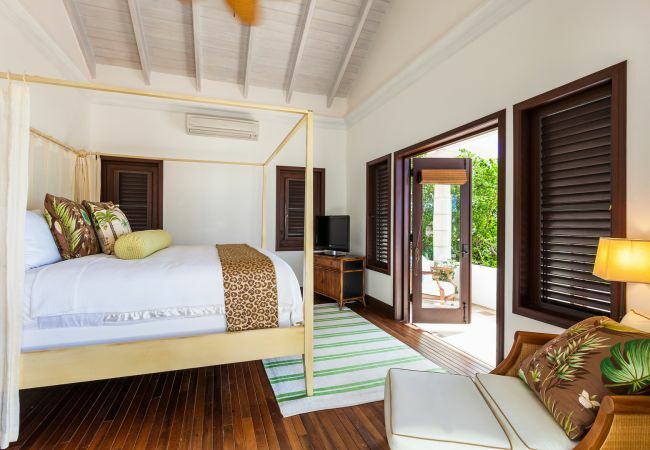 There are four bedrooms, all with ensuite baths and their own private balcony or terrace, plus the media room can be used as a fifth bedroom. 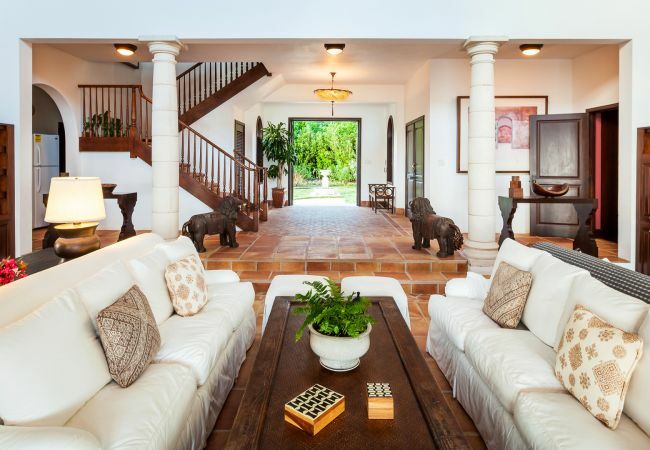 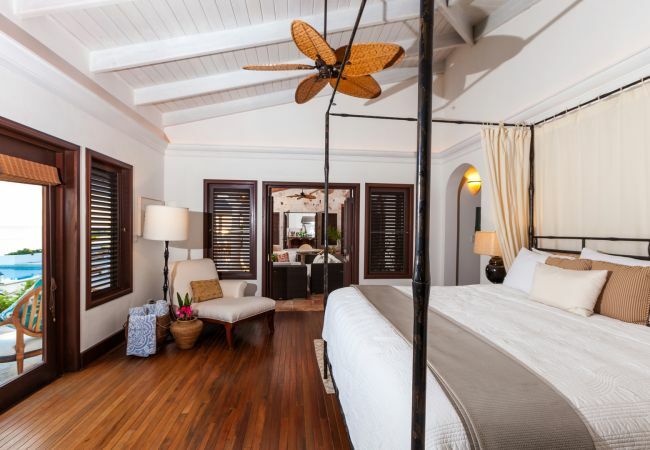 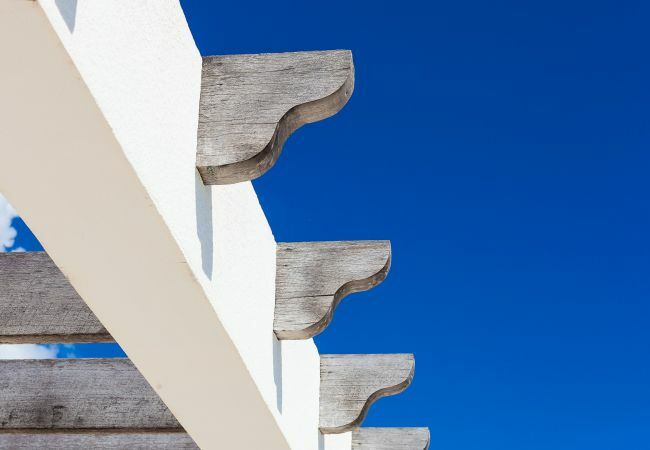 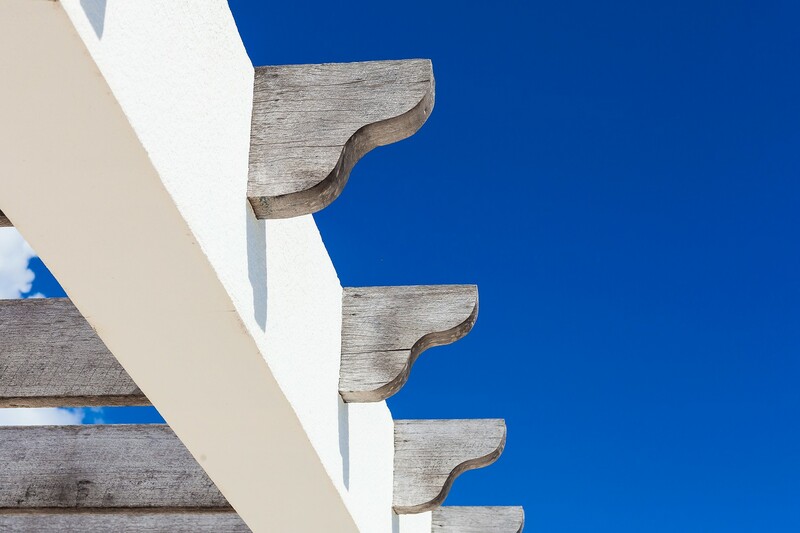 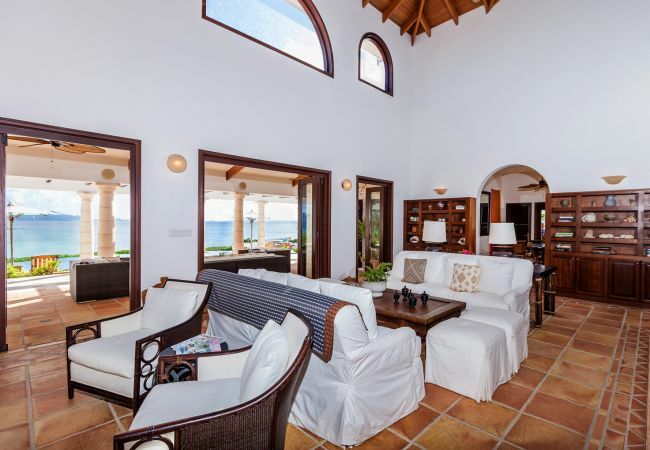 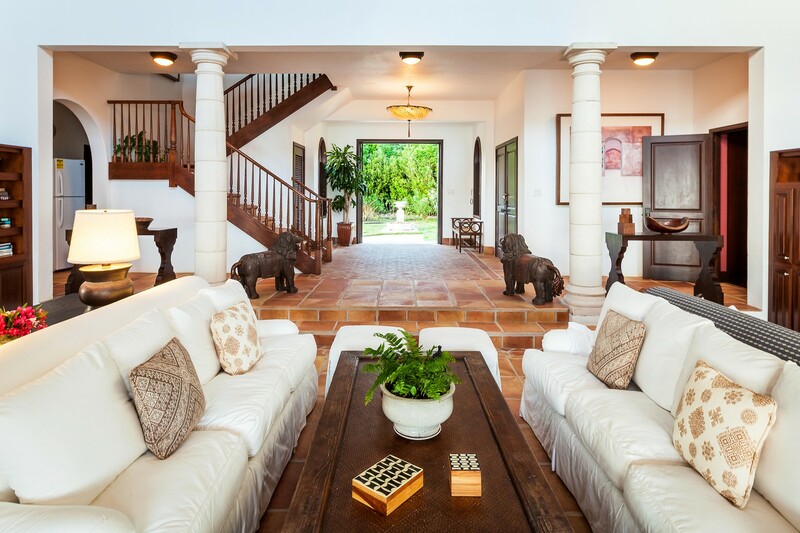 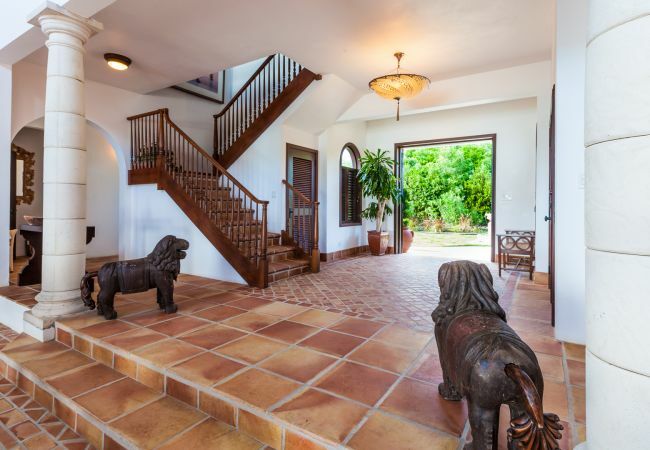 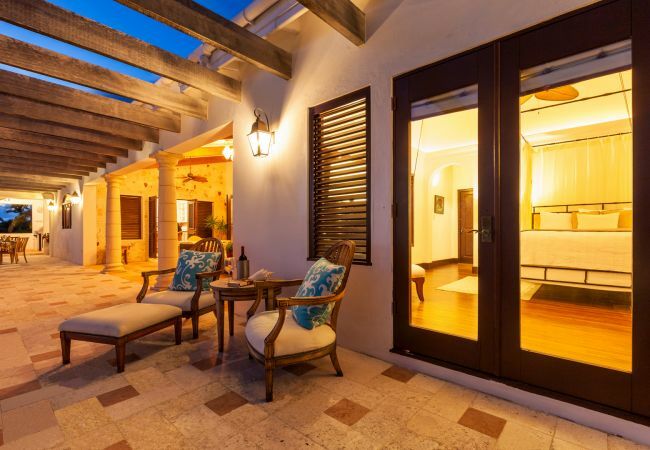 A series of porticos, courtyards, outdoor baths, and built-in banquettes blurs the lines between outdoors and indoors and ensures that you are never far from the gentle caress of the Caribbean trade winds. 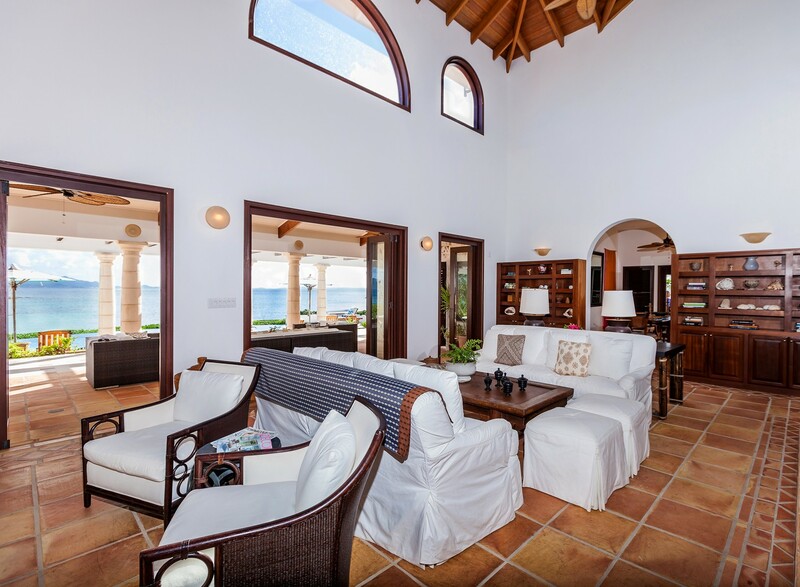 Congregate and relax in the spacious great room or outside on the expansive pool deck beside the 900 square foot infinity pool and jetted Jacuzzi. 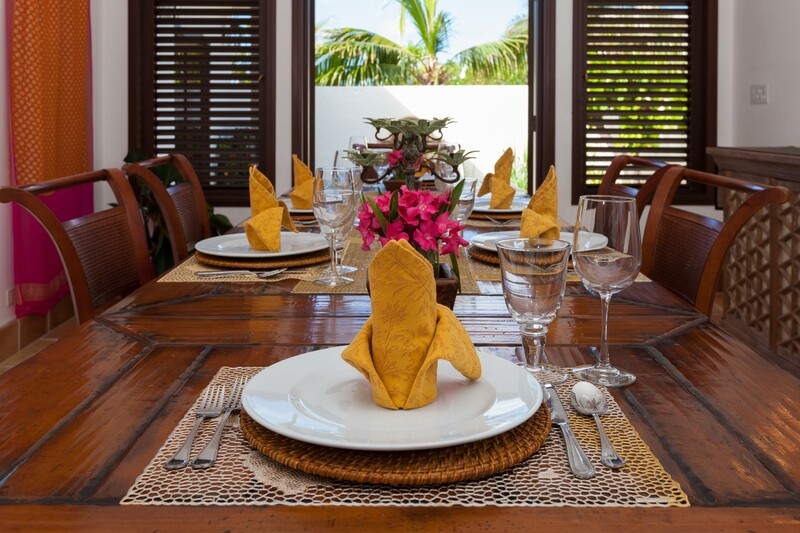 Whip up a gourmet meal in the chef’s kitchen or have our optional private chef cook for you. 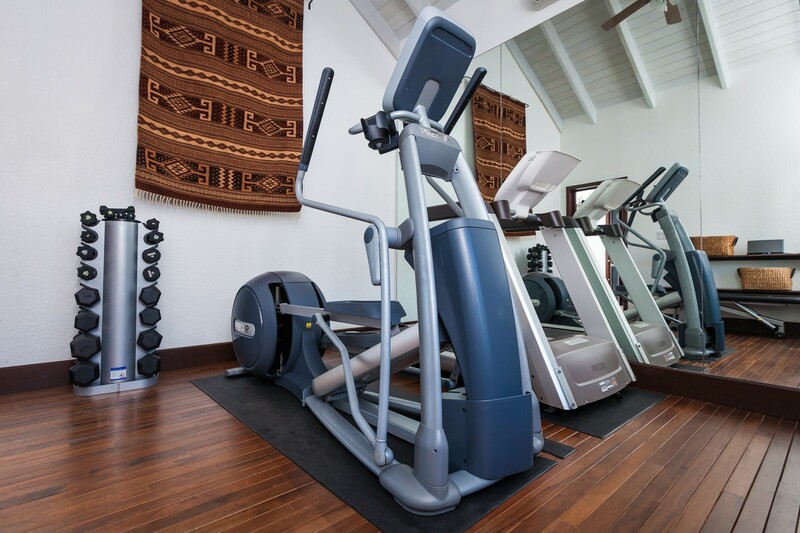 Work out in your private, indoor, air-conditioned gym equipped with a treadmill, elliptical trainer, free weights and more.Let Villa Alegria’s professional staff take care of your every need and whim during your stay so you don’t have to. 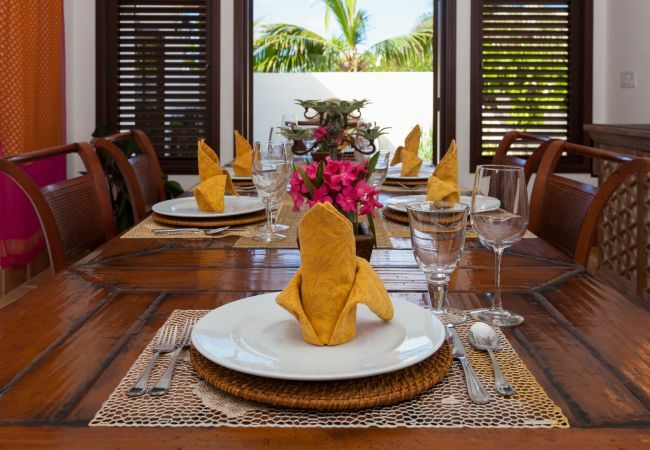 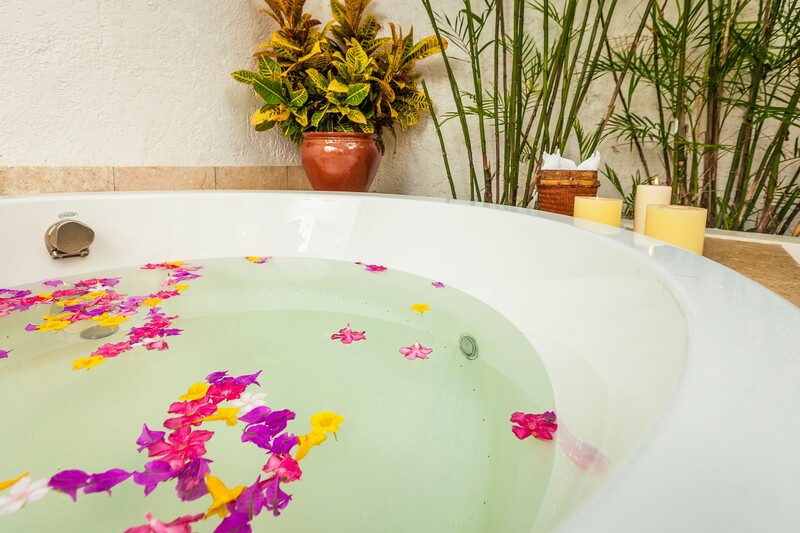 Our villa concierge and manager is always on call, and can help you with anything you need including arranging optional private chef service, childcare and in-villa massages, as well as booking excursions. 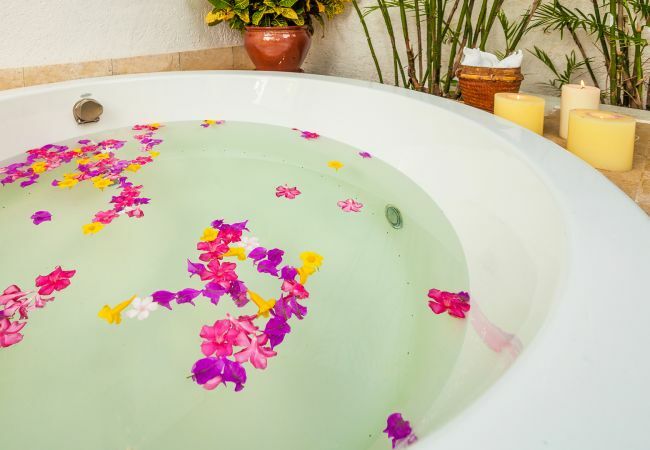 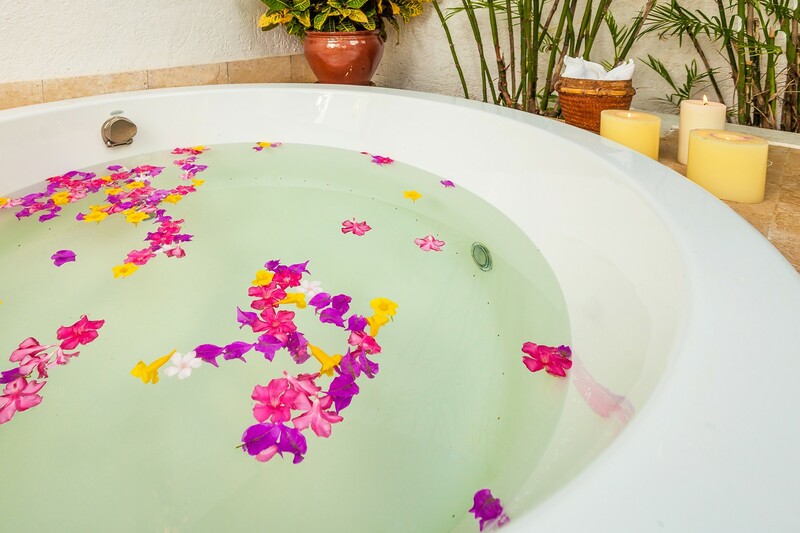 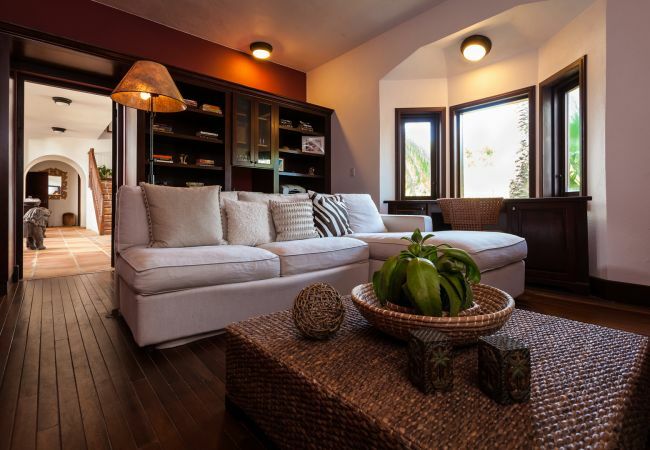 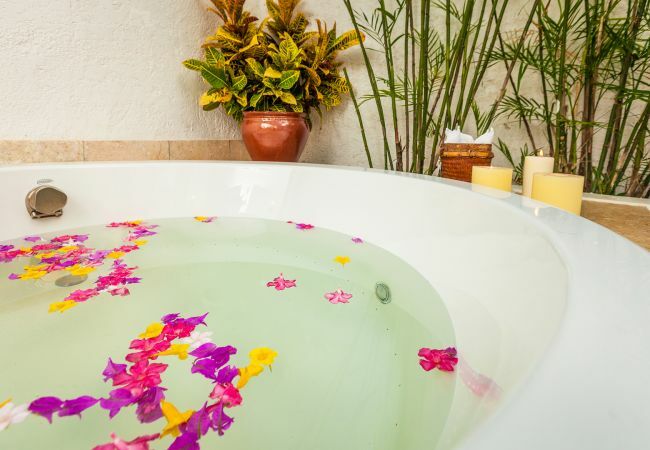 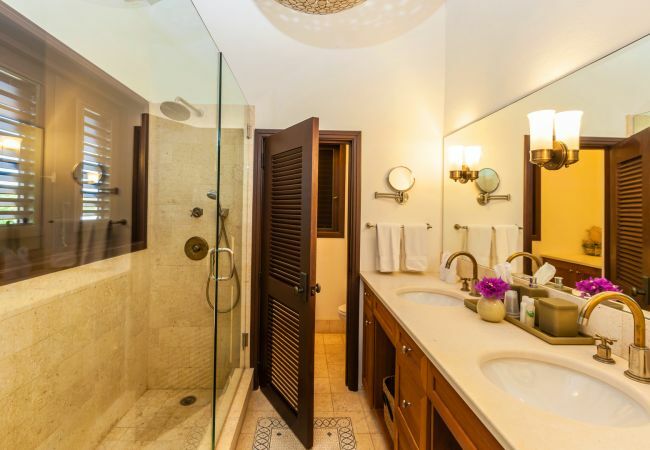 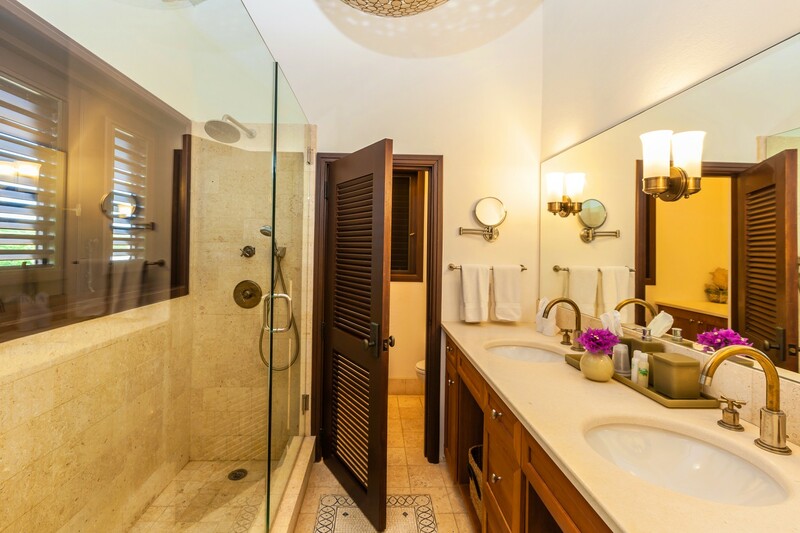 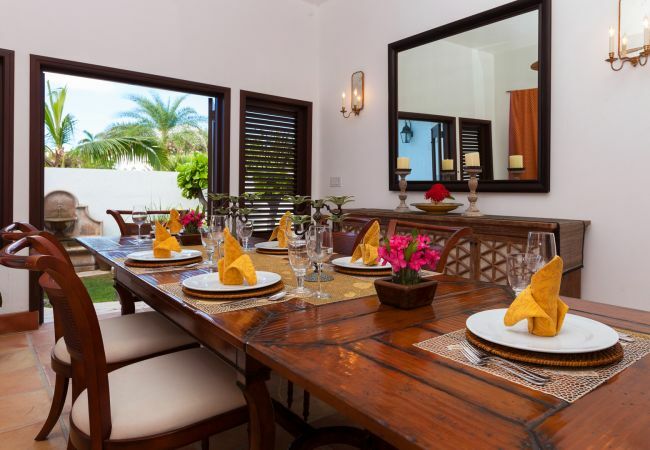 And if you need to stay connected to the outside world while in paradise, the villa has WIFI internet, and guests enjoy free calls using the Internet. 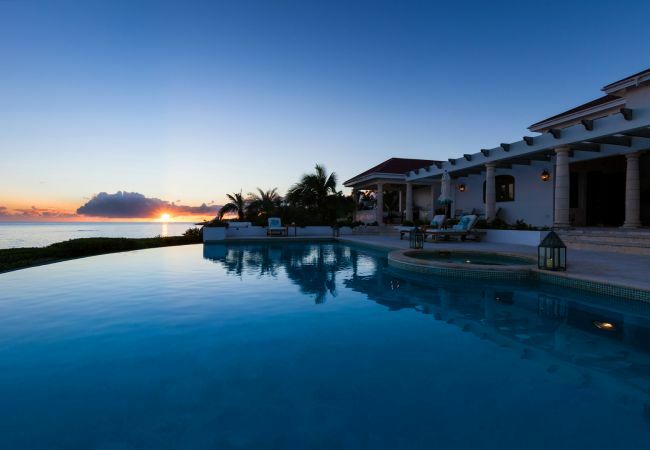 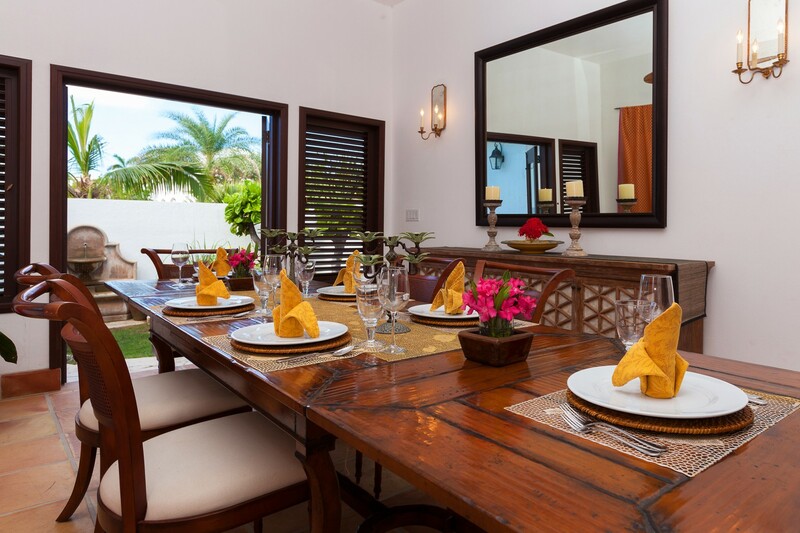 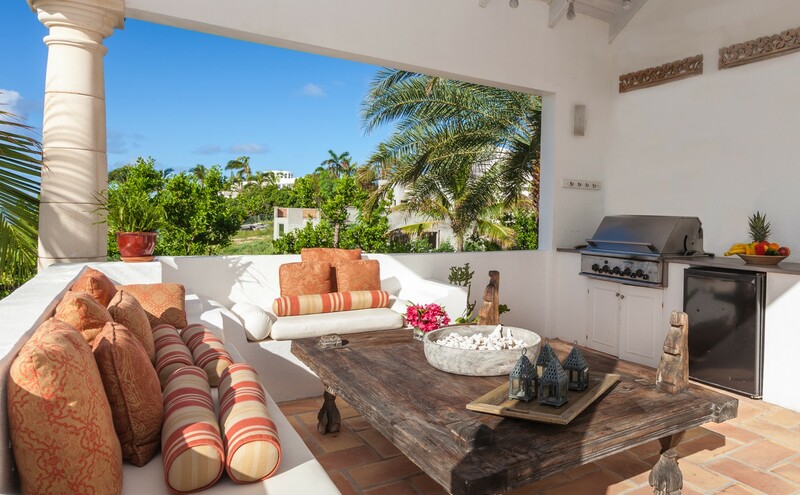 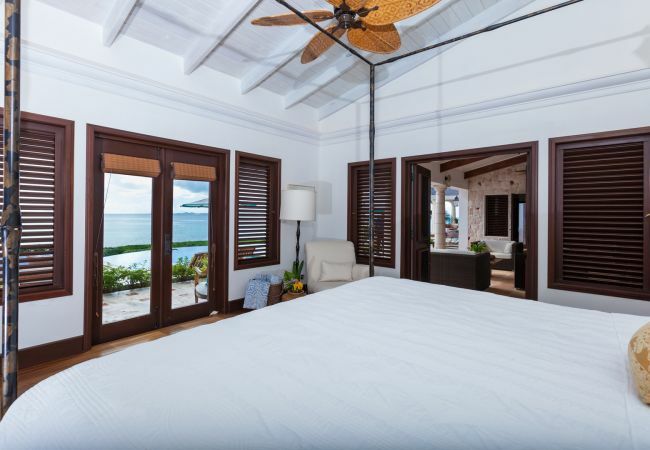 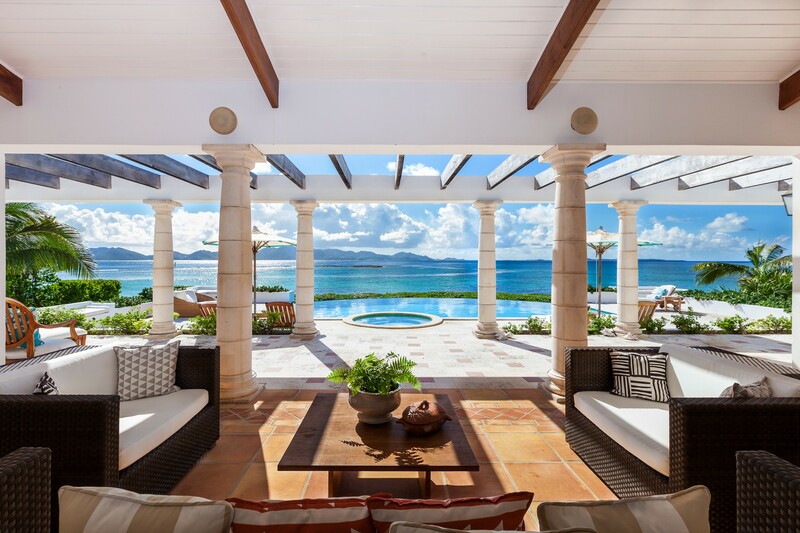 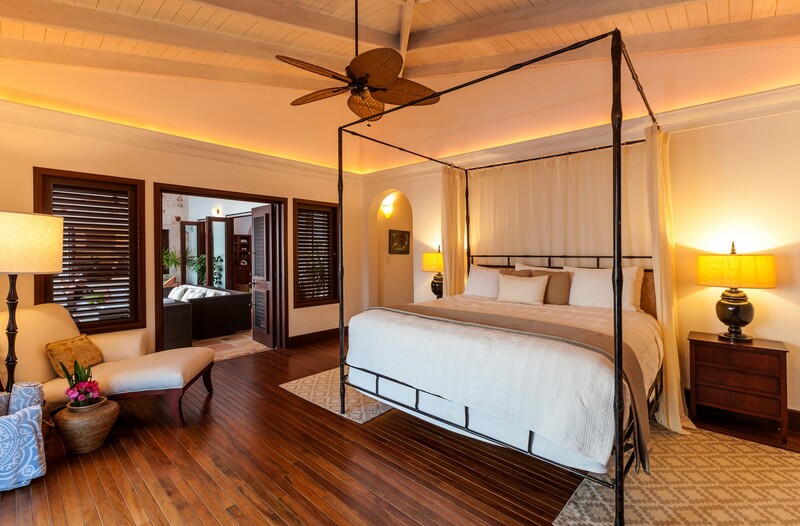 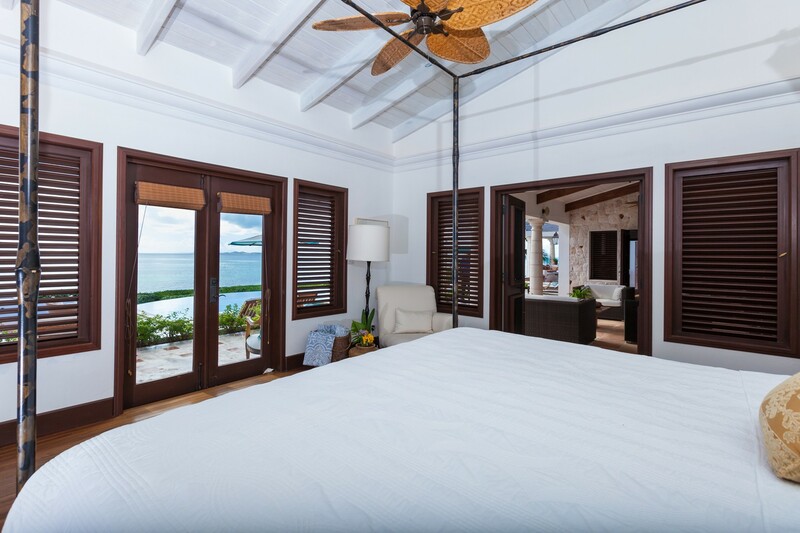 Whether you are looking for the ideal place to relax and unwind, want to gather your family or friends for a luxurious get away, or are in search of a memorable location for a destination wedding or romantic honeymoon, Villa Alegria is the perfect choice among Anguilla luxury villas. 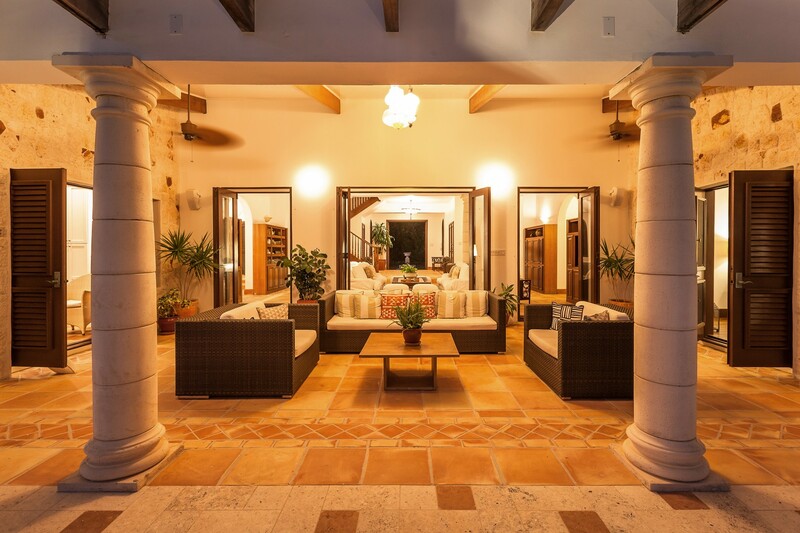 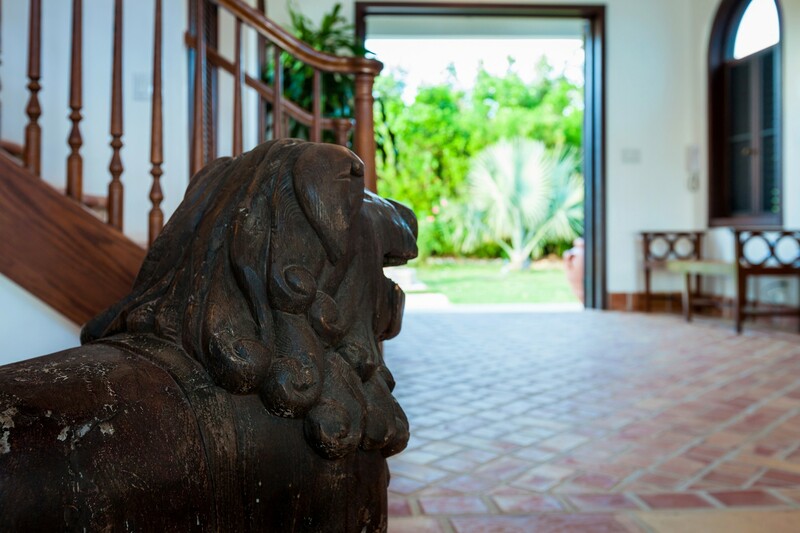 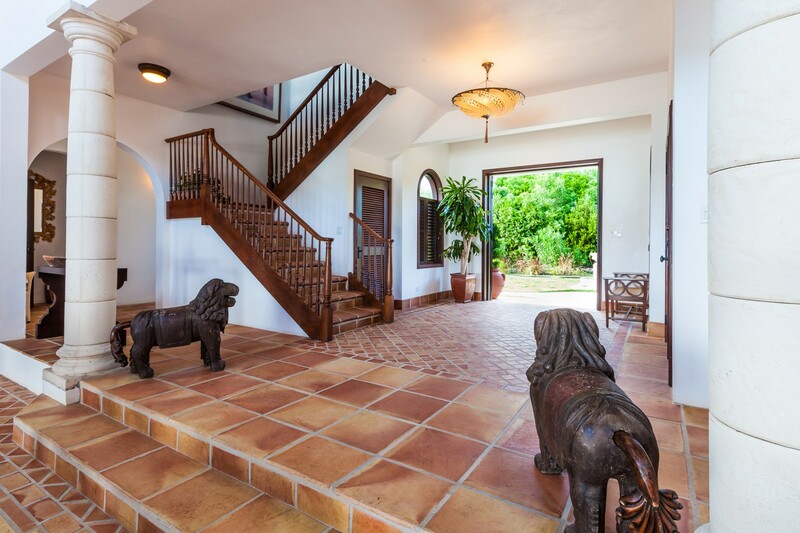 Once you step through the front door, you’ll see right away why so many of our guests return to this VIlla Alegria again and again. 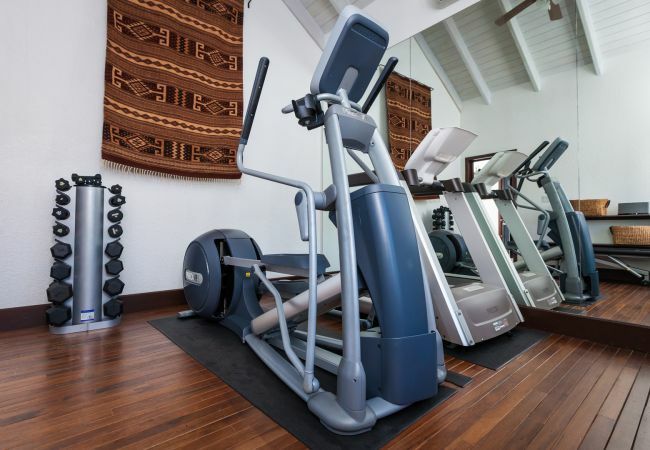 - TV, TV Satellite (Languages: English), Stereo, DVD, iron, jacuzzi, air-conditioned, private swimming pool, Open-air parking.